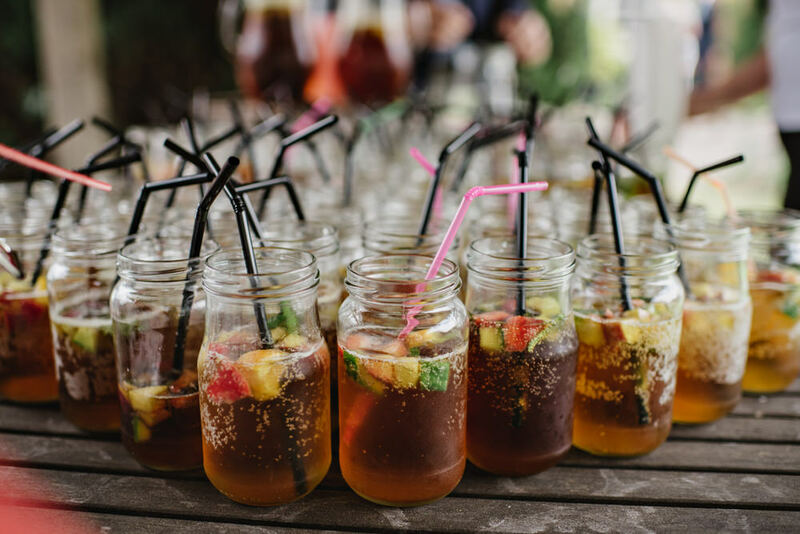 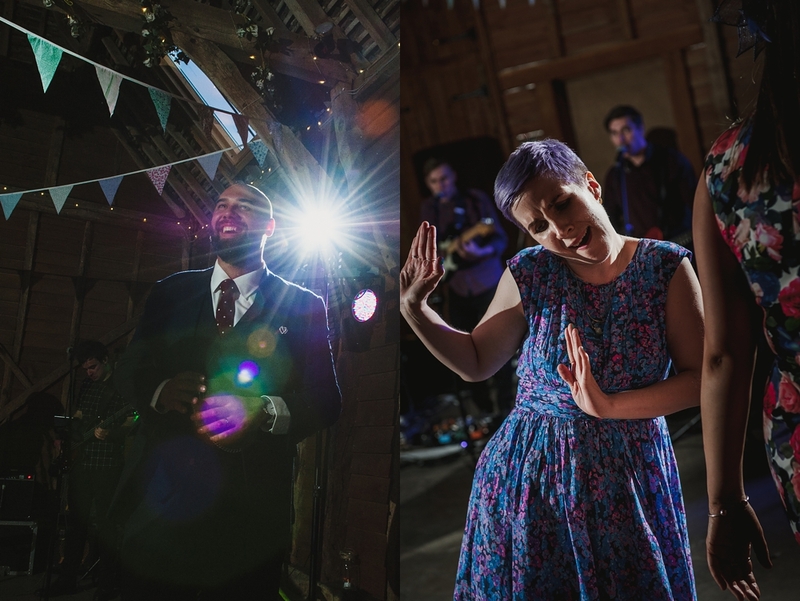 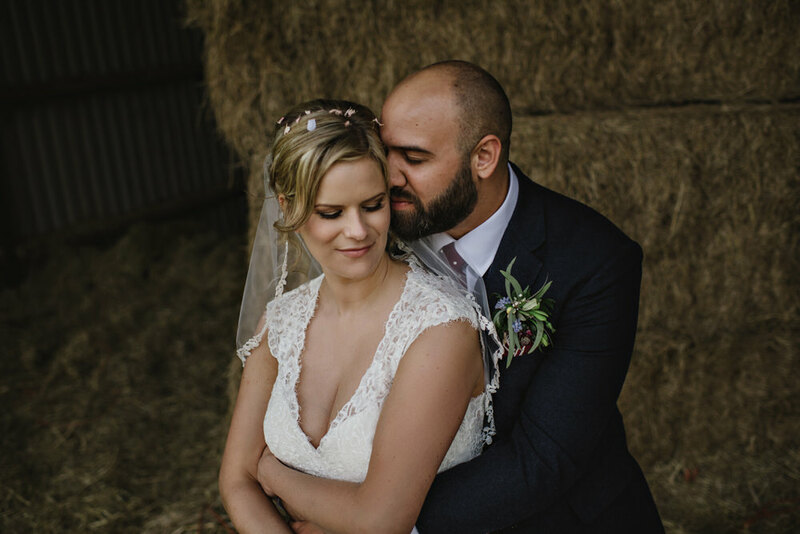 I love a modern barn wedding and Heron’s Farm was the perfect setting for the laid back vibe of Lisa and Jordan’s celebration. 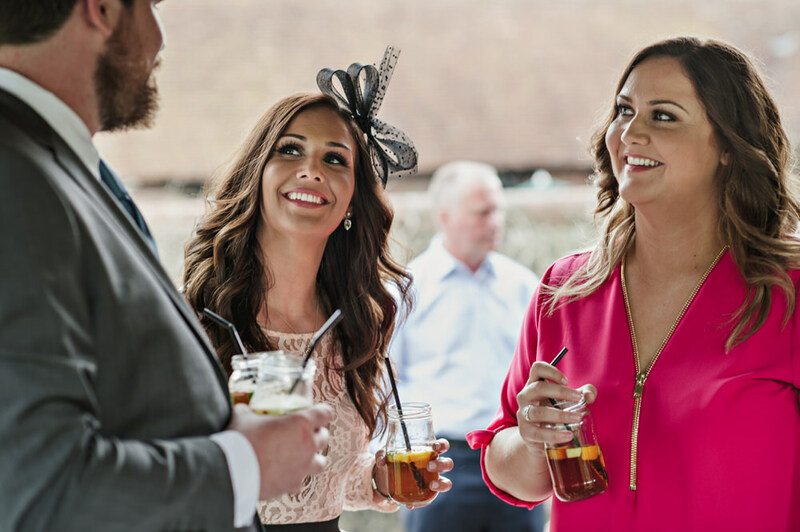 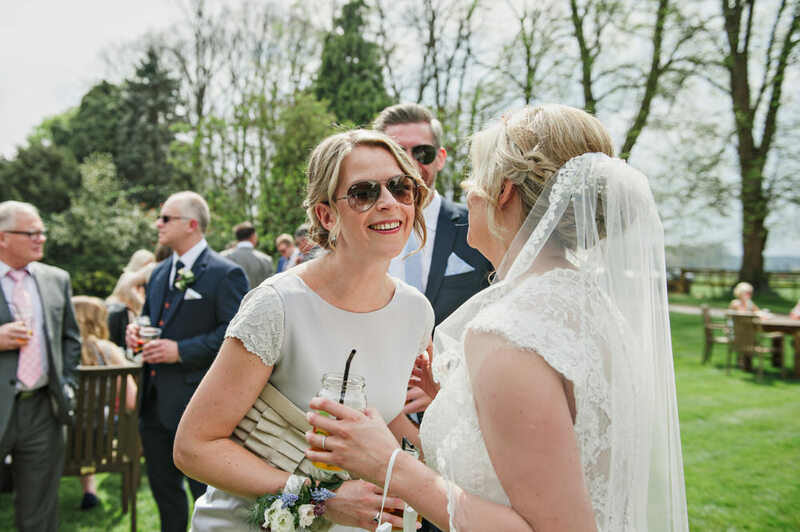 With it being May, the blossom was on the trees, the sun was shining and we were able to spend most of the day outdoors, chatting and mingling. 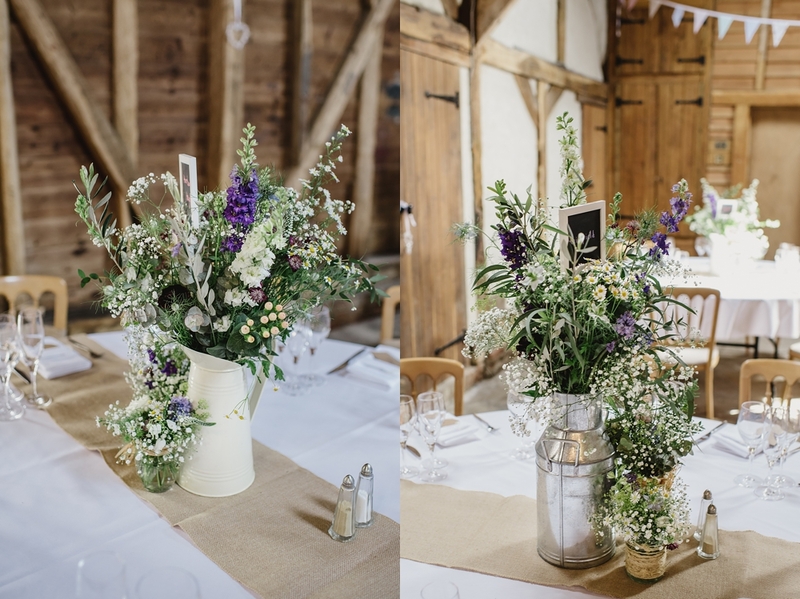 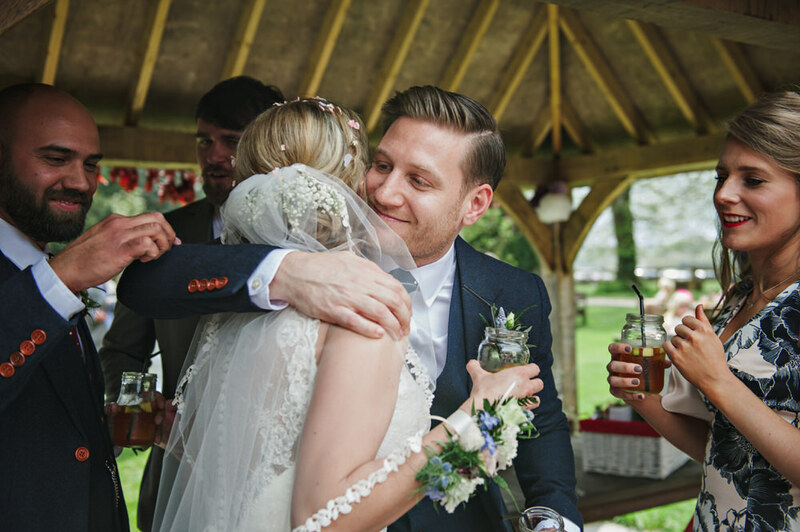 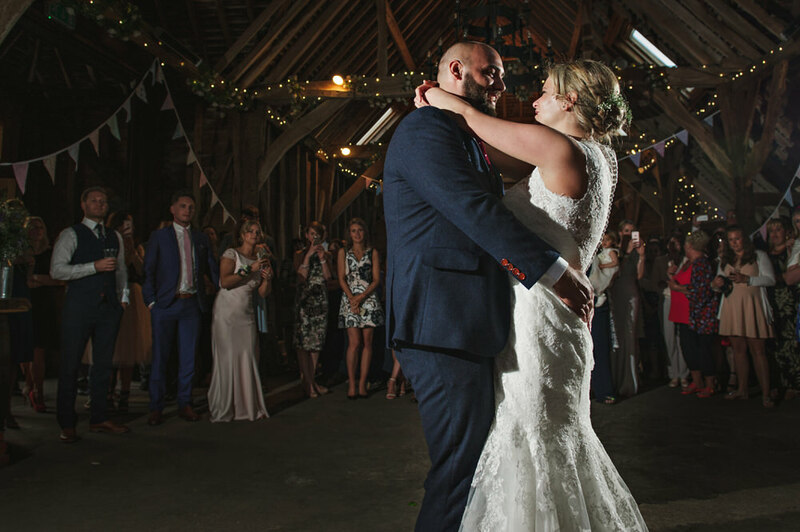 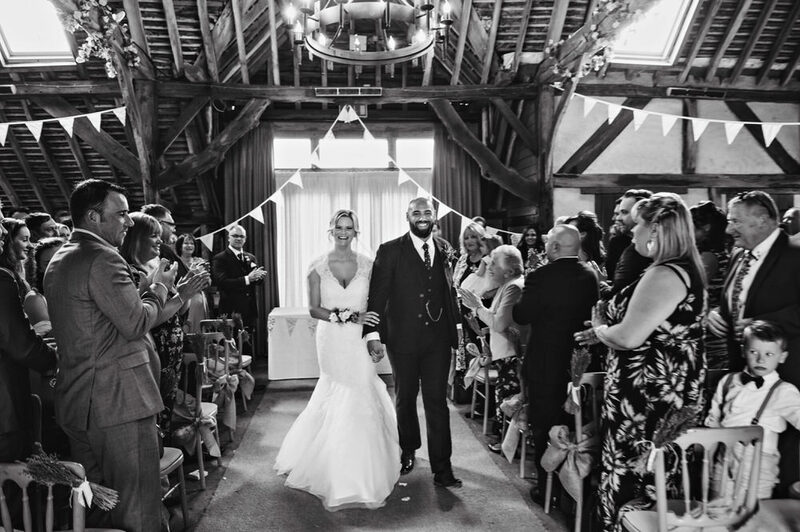 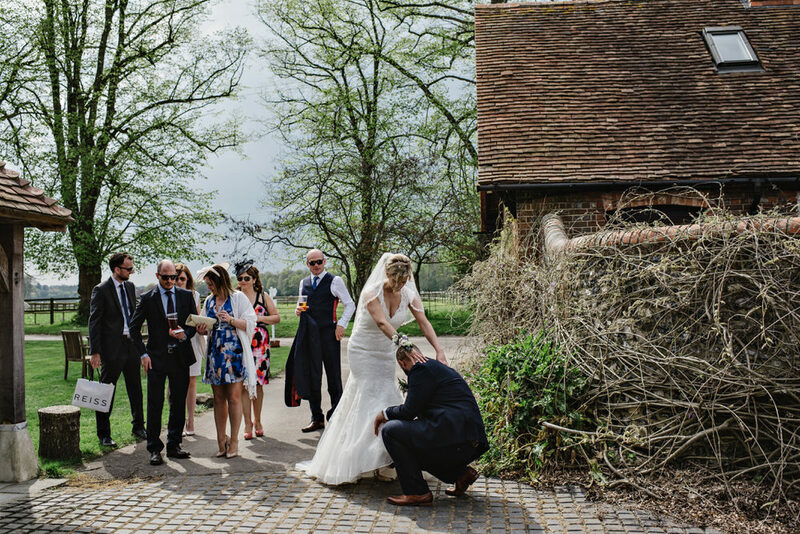 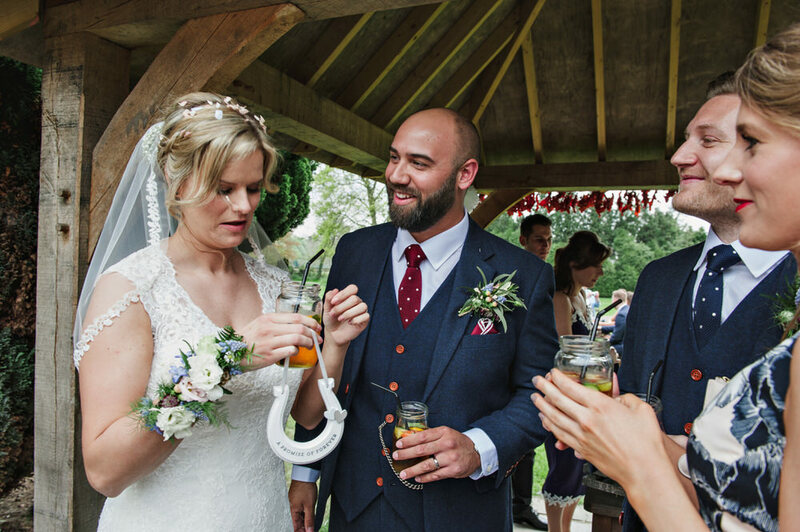 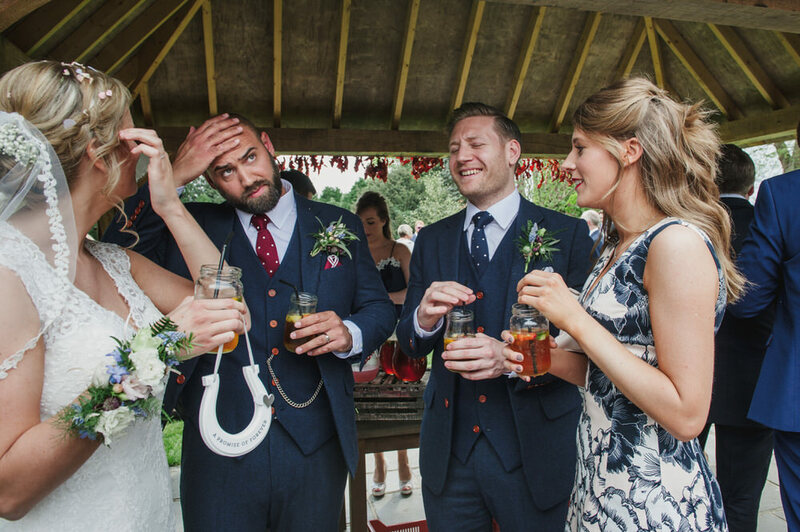 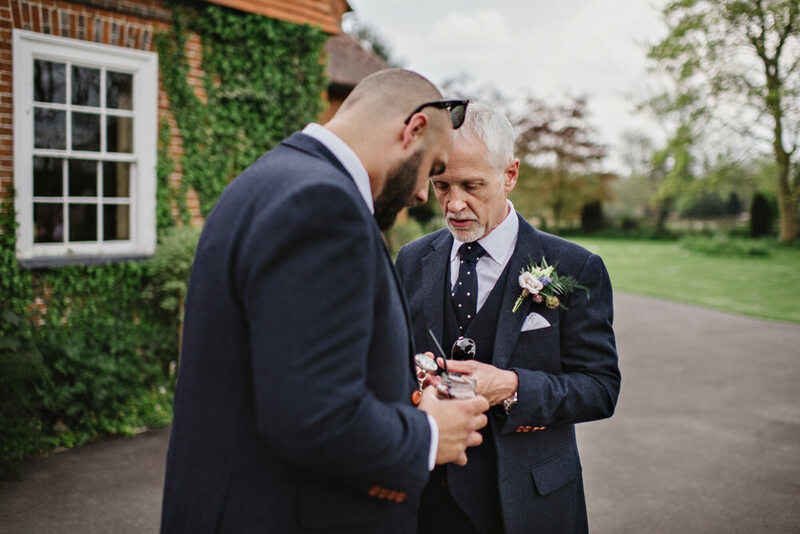 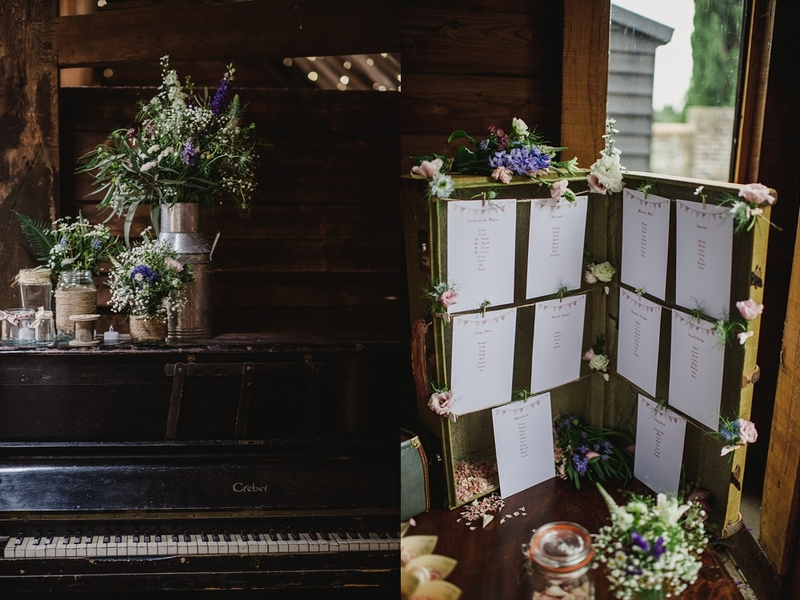 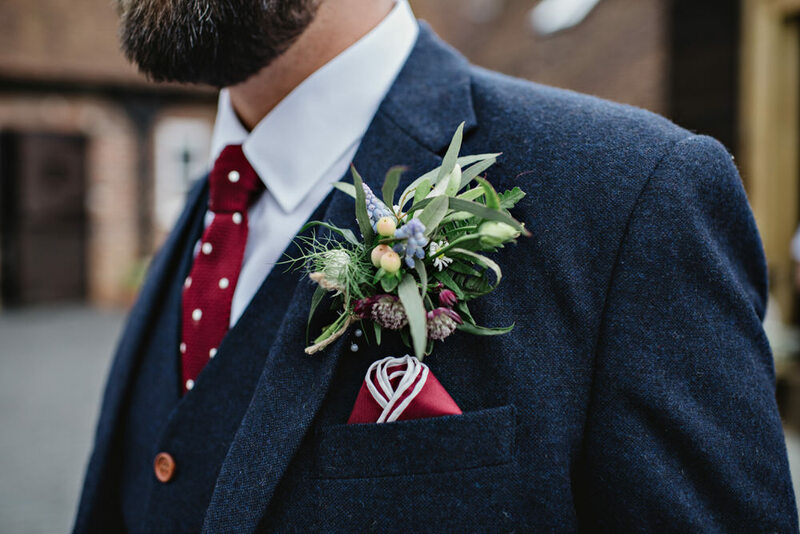 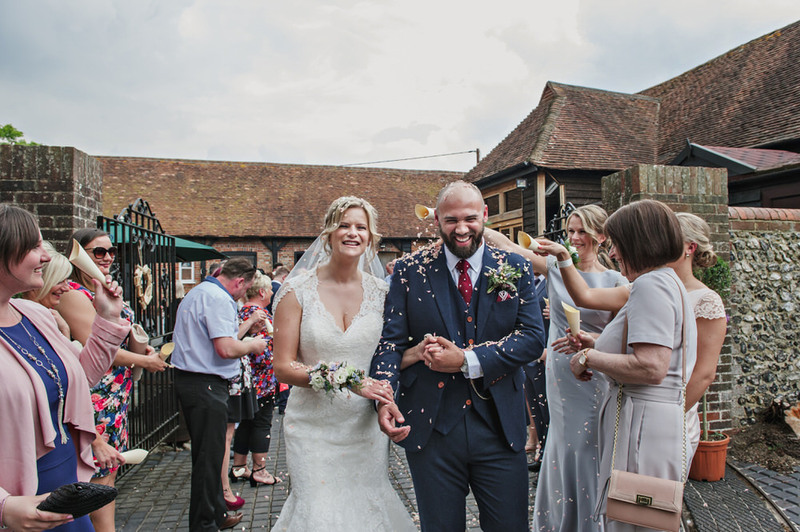 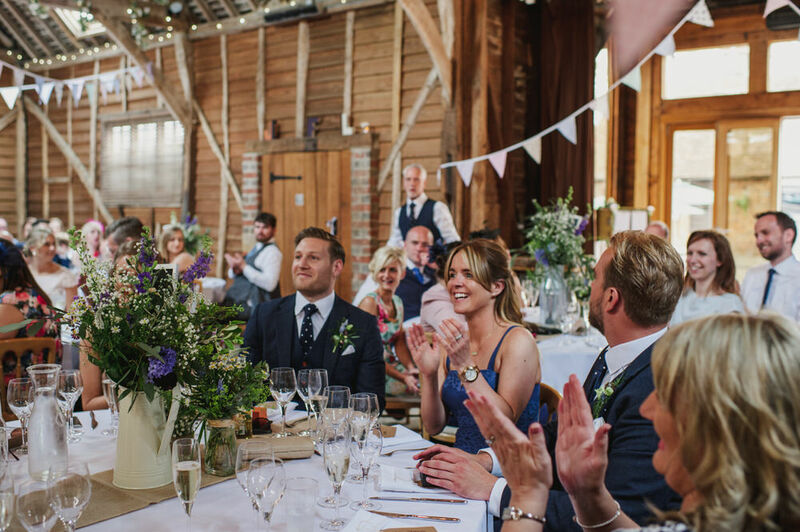 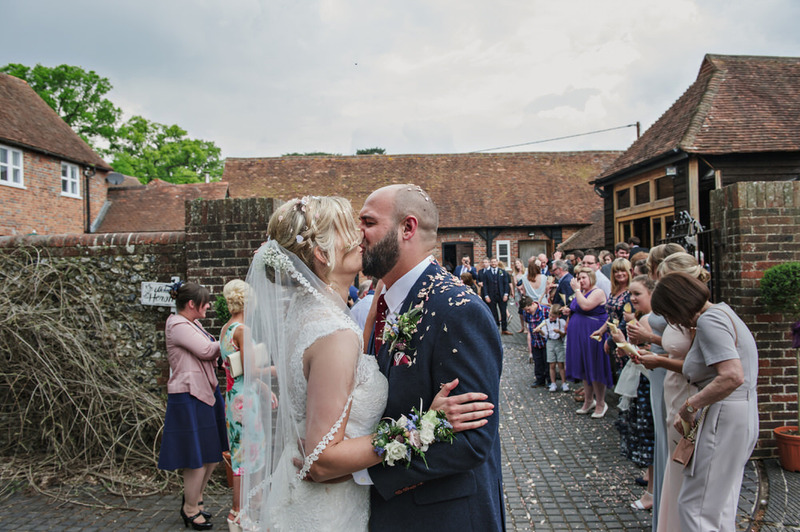 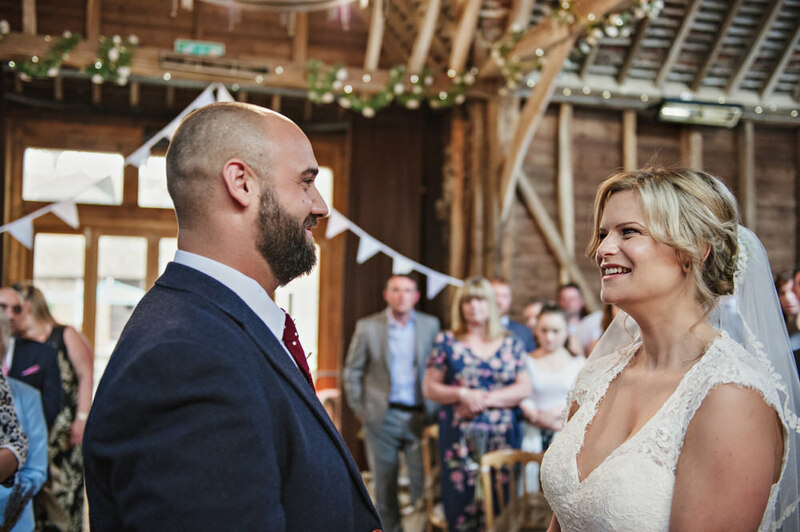 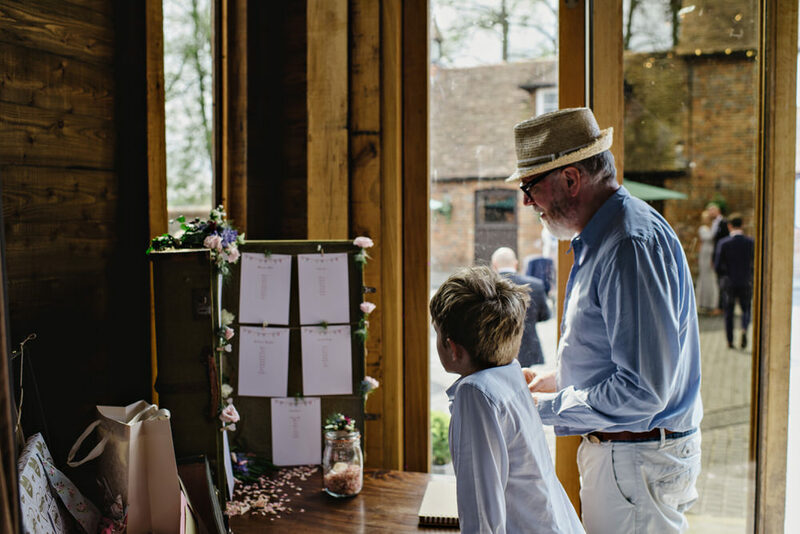 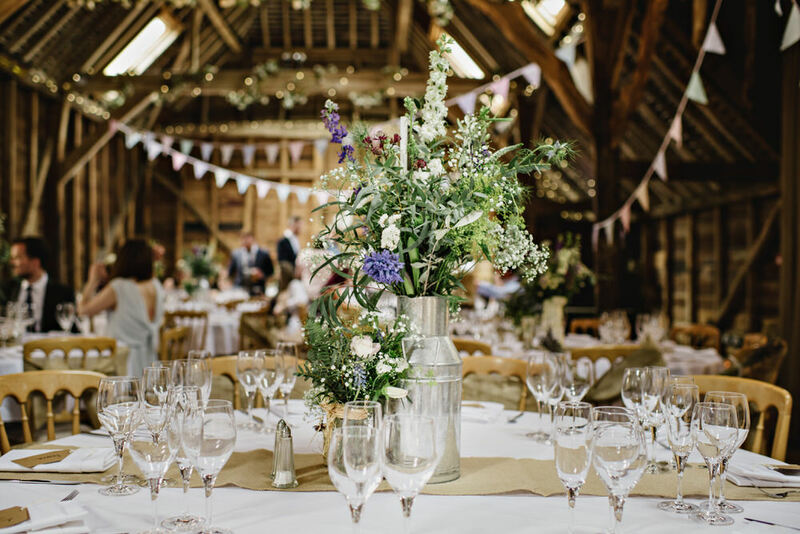 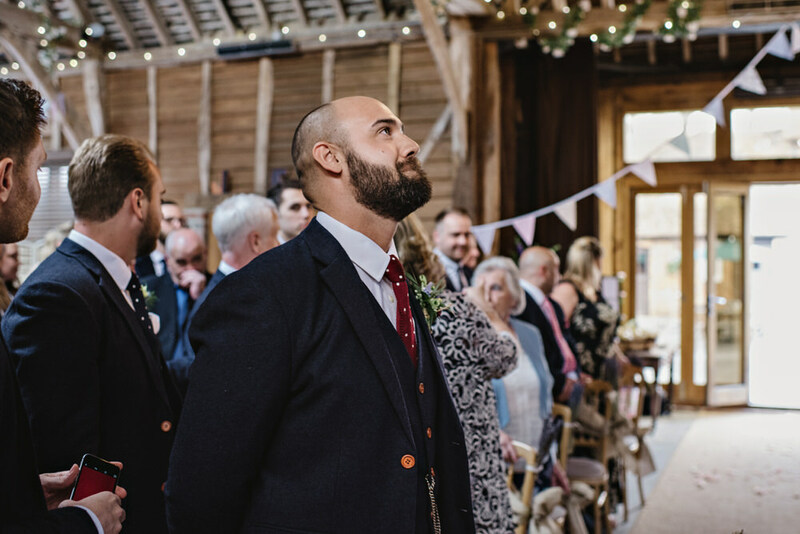 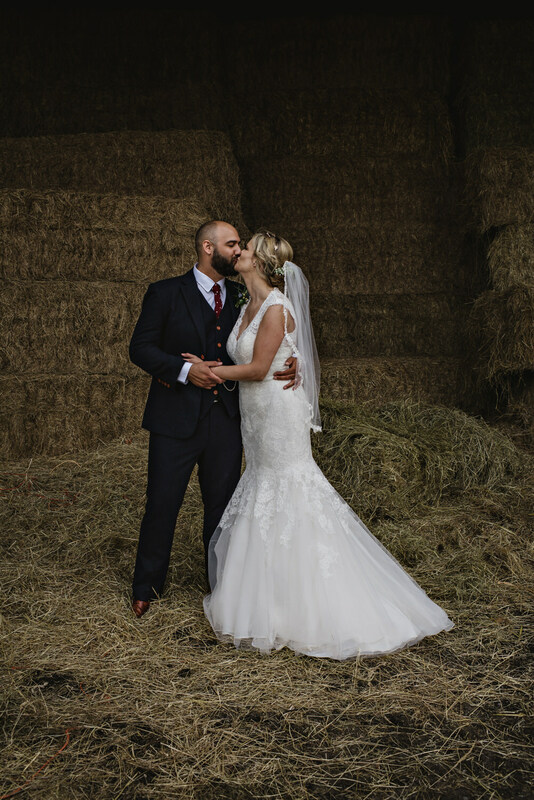 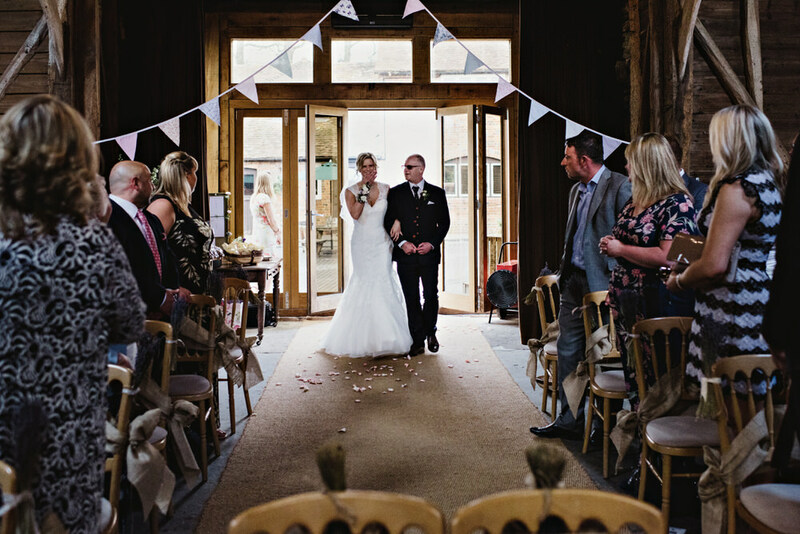 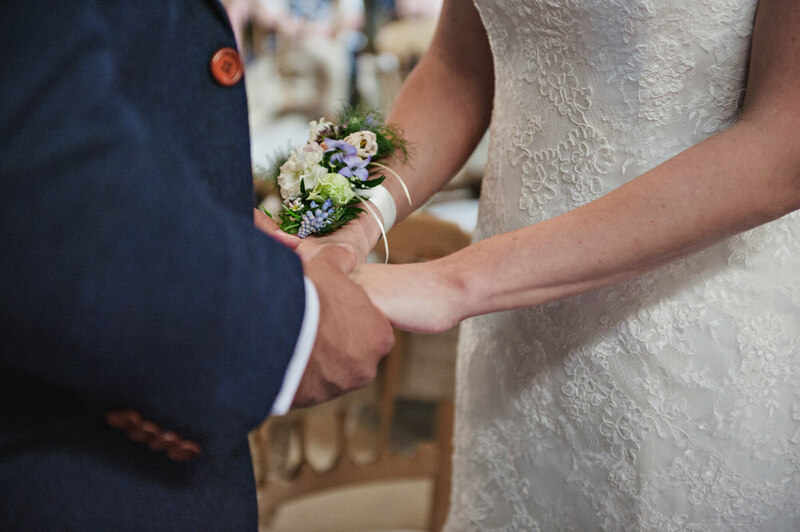 Fitting in with the farm setting, Lisa had chosen beautiful bunches of rustic and wild flowers by Green Parlour displayed in silver mini milk urns, decorating the open suitcase table plan and leading guests into the ceremony. 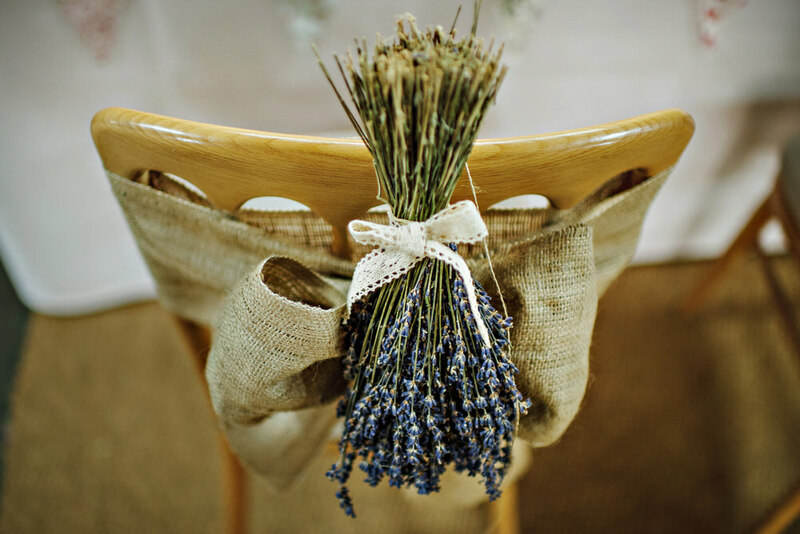 Lisa made the rustic chair backs herself with bunches of lavender and hessian. 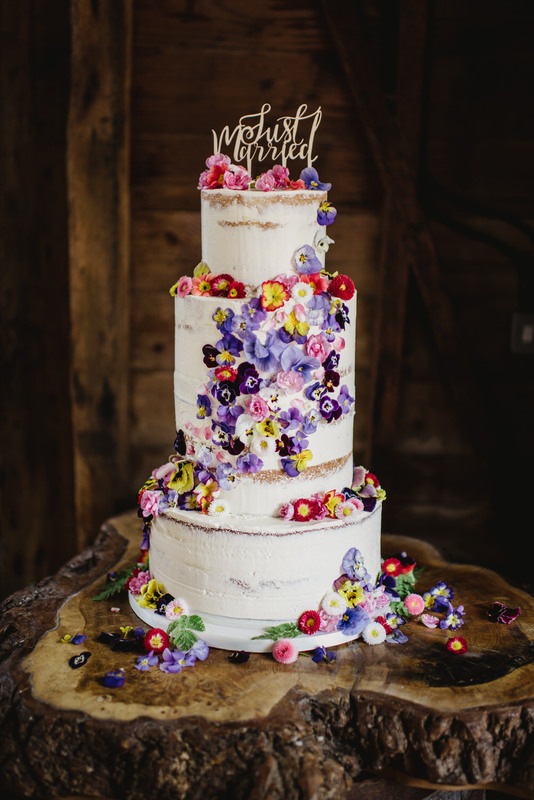 The flower theme also ran to the stunning naked wedding cake by Rachel Hudson Cakes. 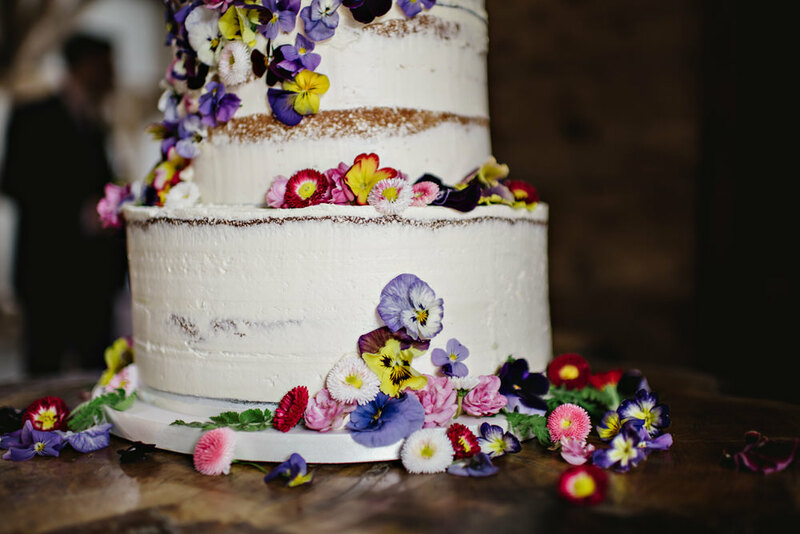 It was decorated with a cascade of edible flowers and looked almost too good to eat but tasted divine! 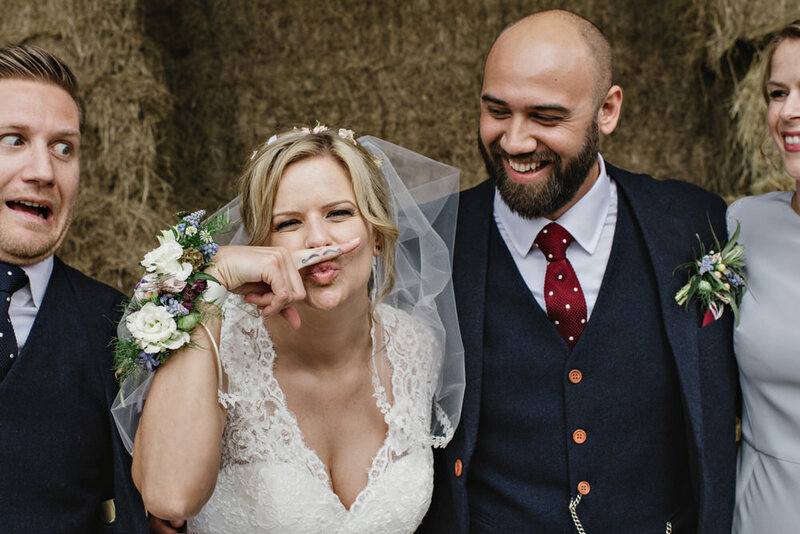 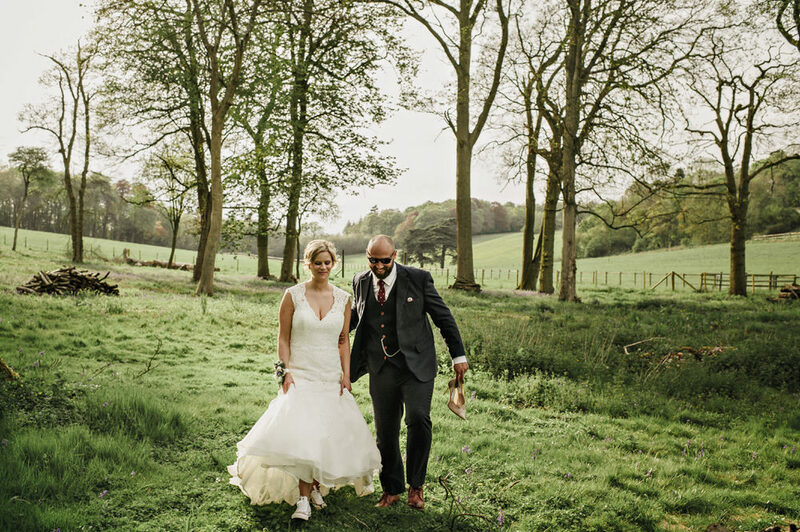 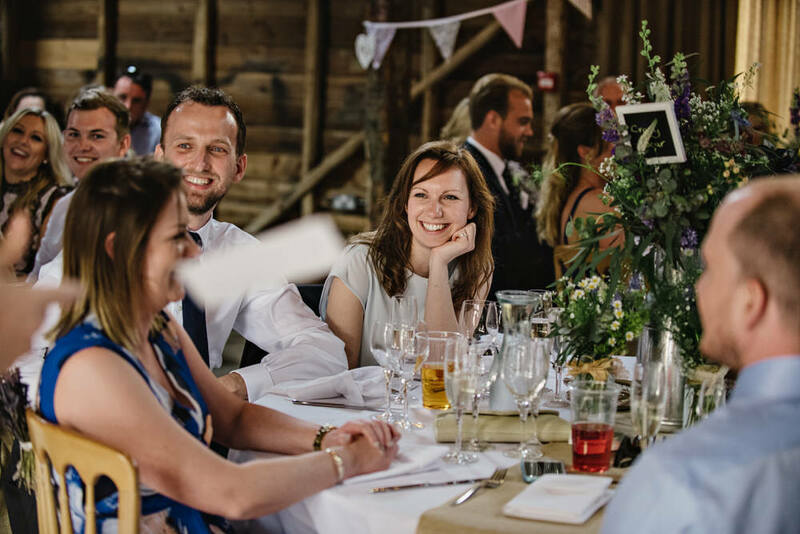 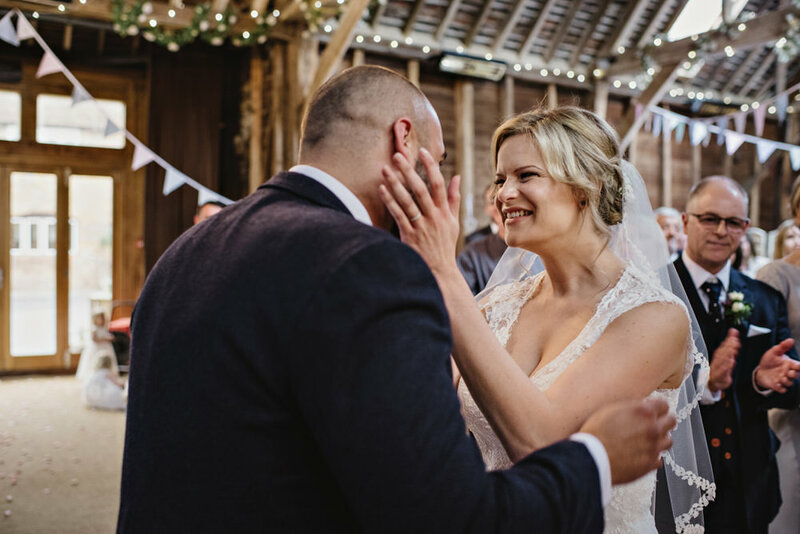 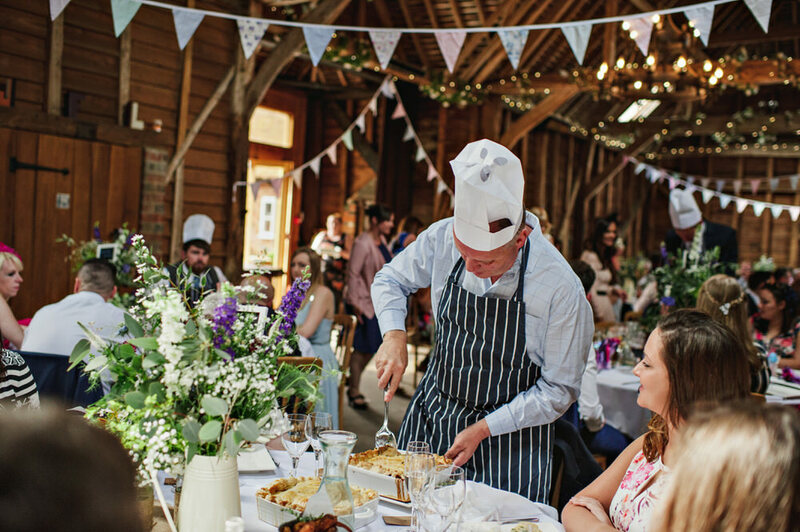 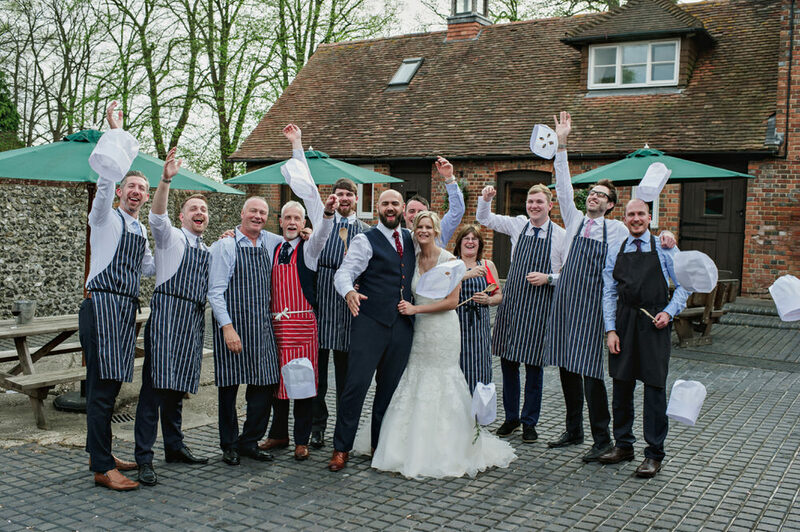 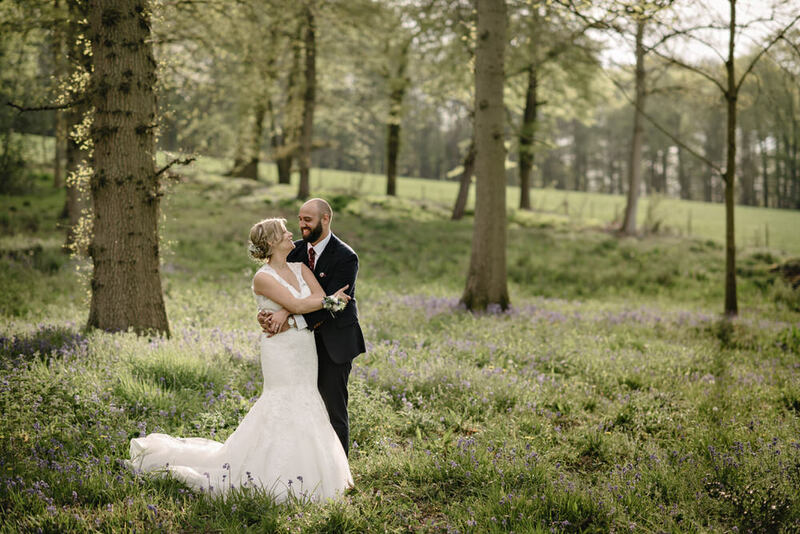 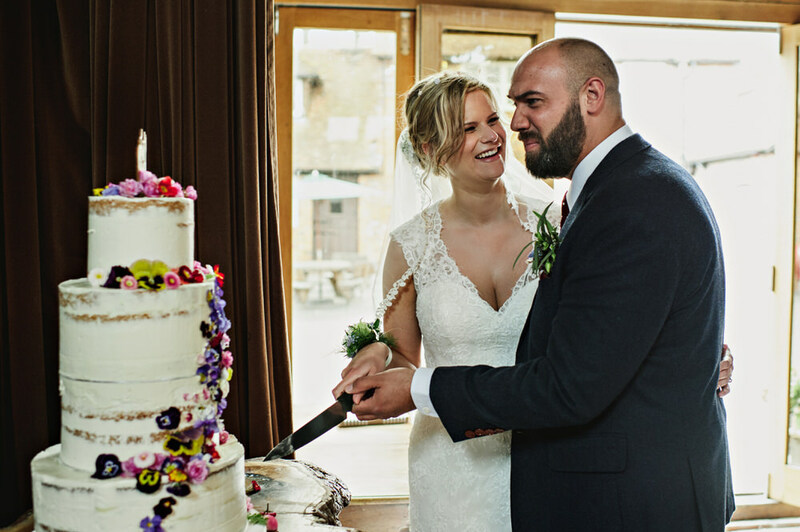 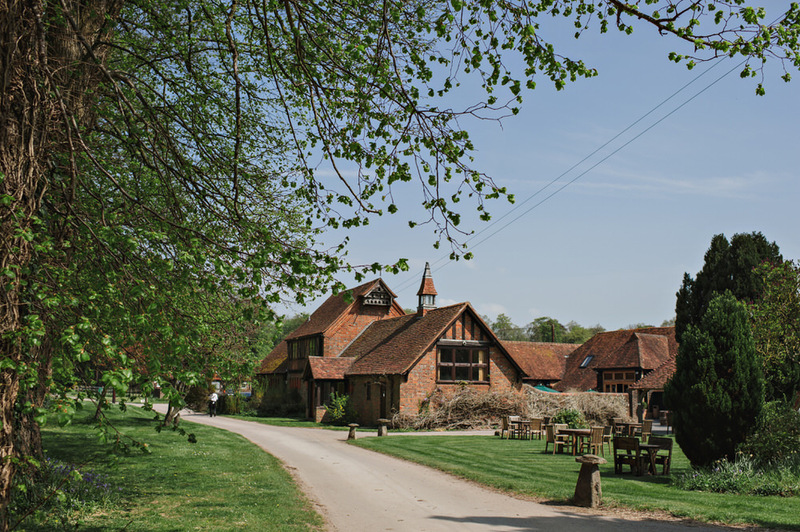 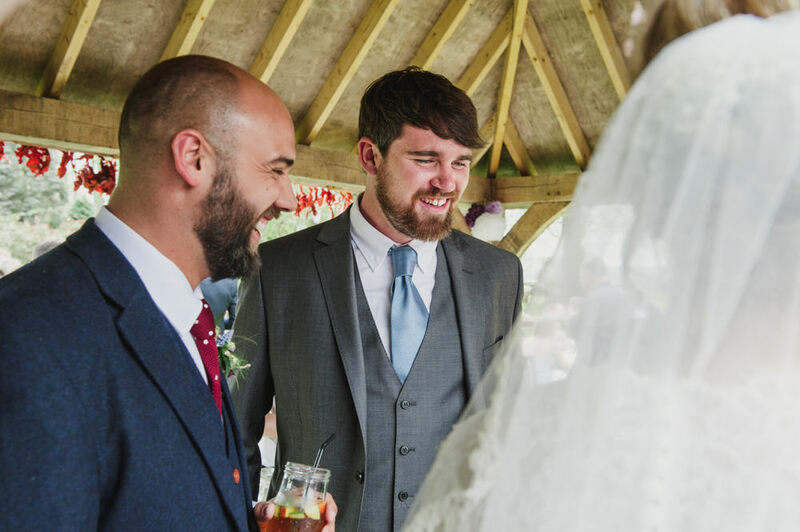 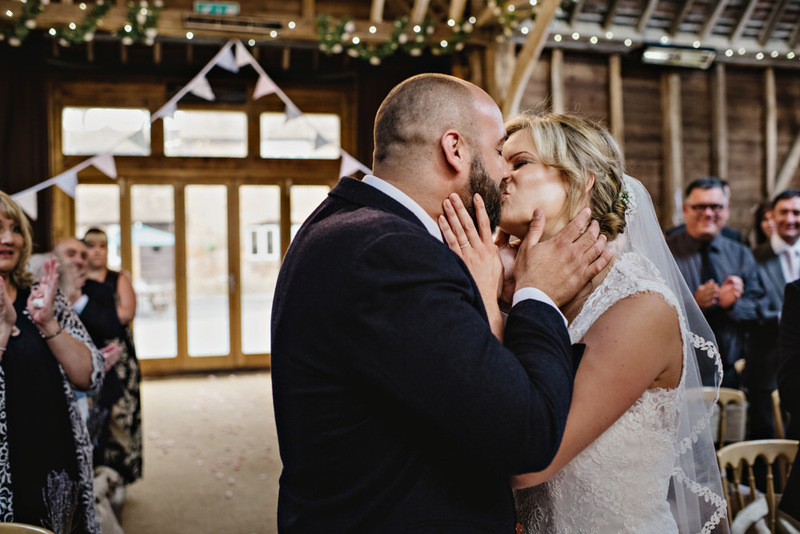 It was through Rachel, that I met Lisa and Jordan as Rachel had created the amazing vegan cake for Hannah and Paul’s wedding at Heron’s Farm a year earlier. 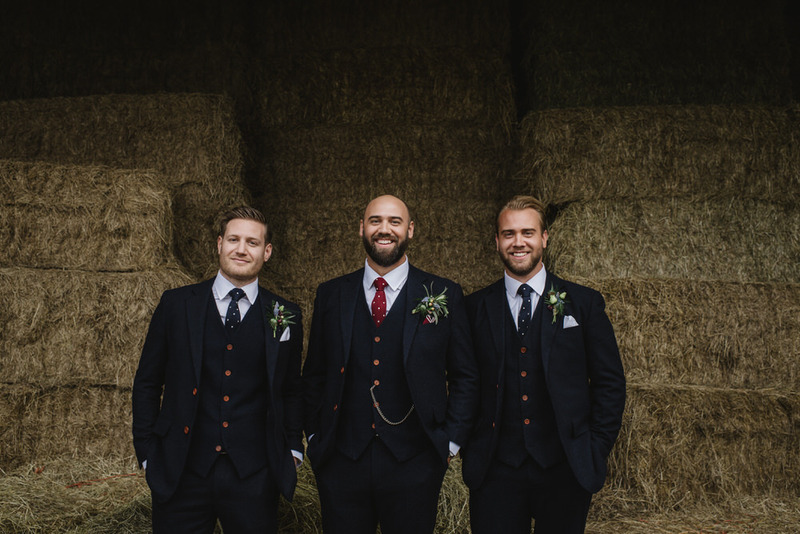 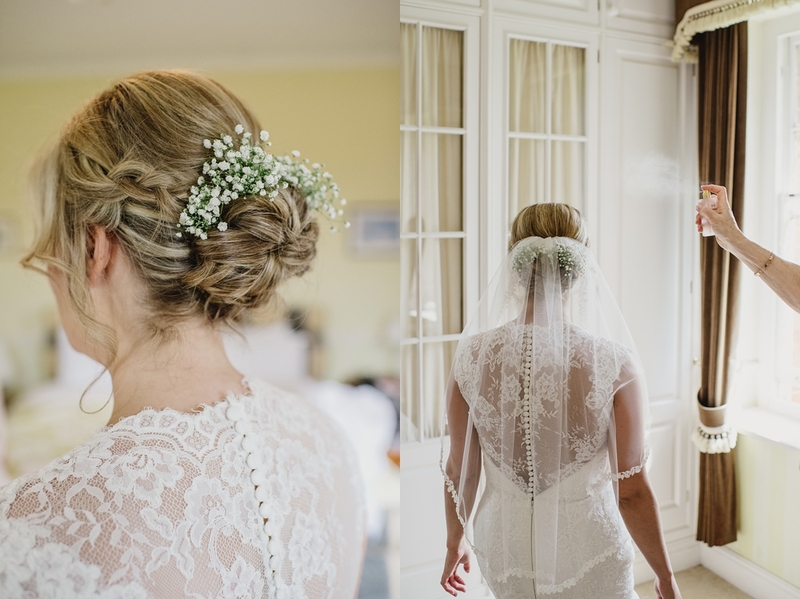 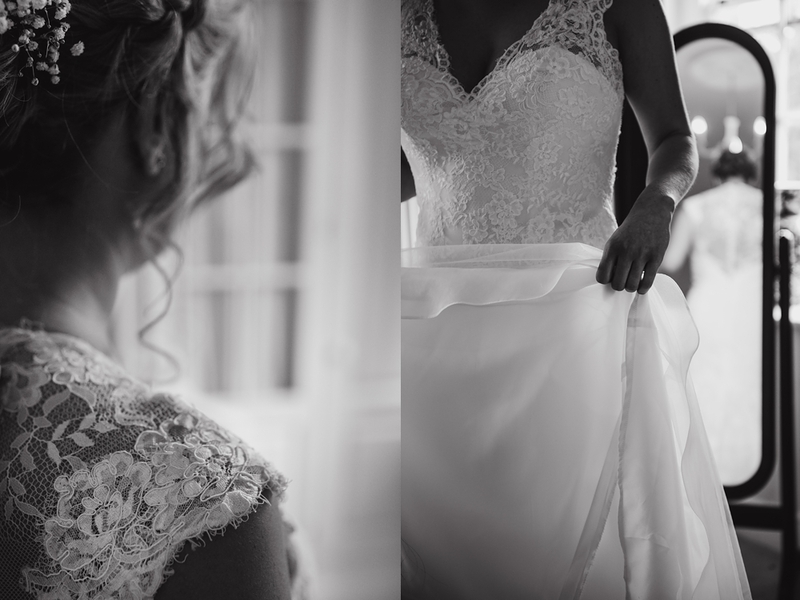 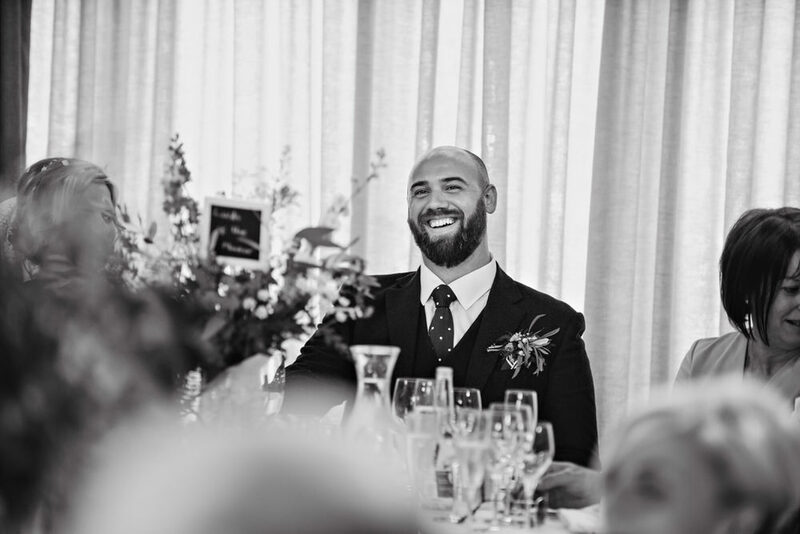 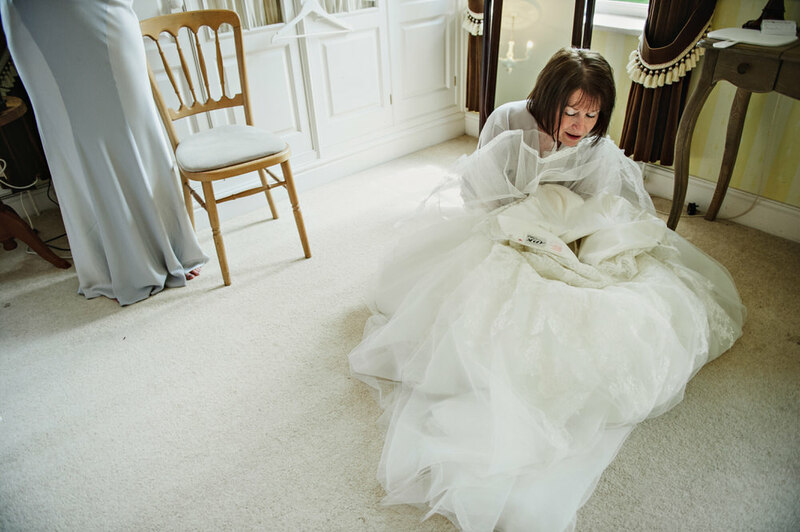 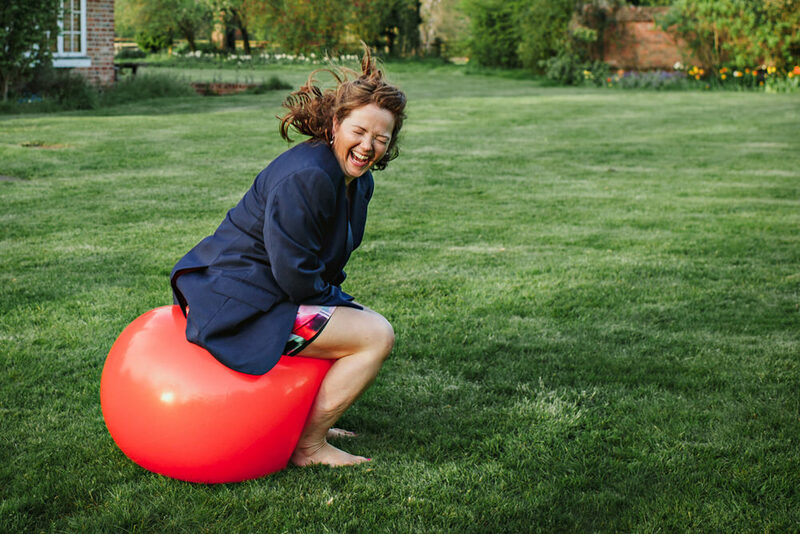 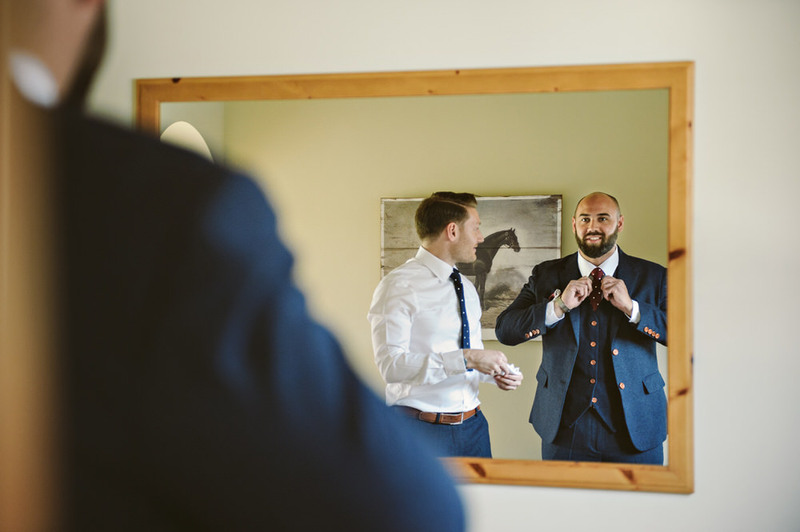 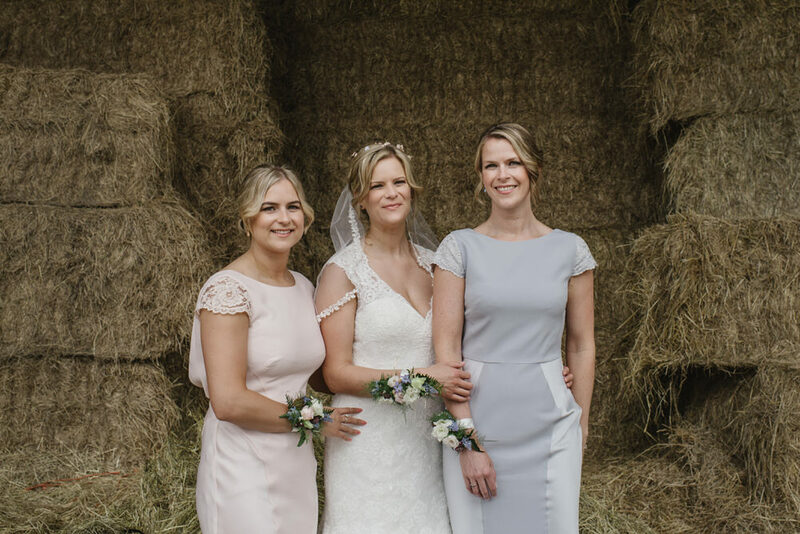 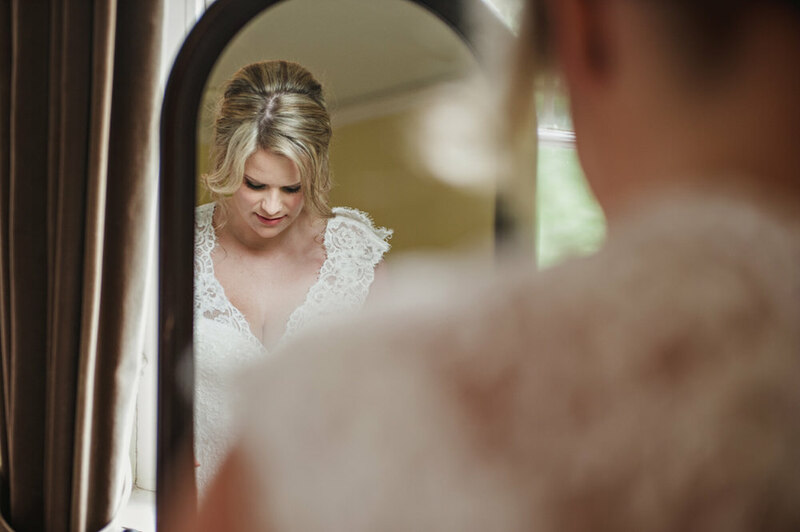 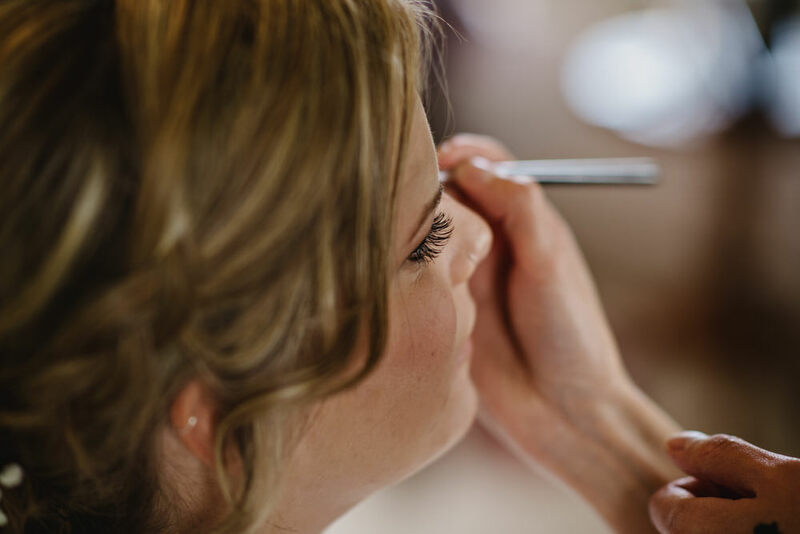 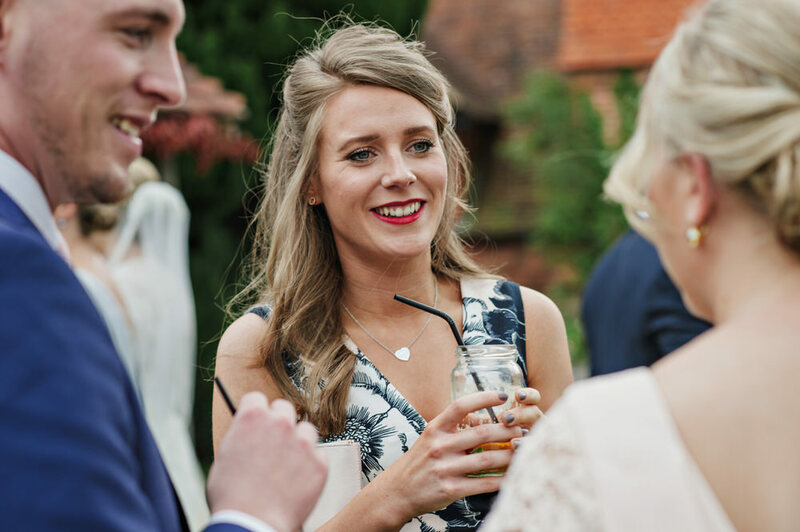 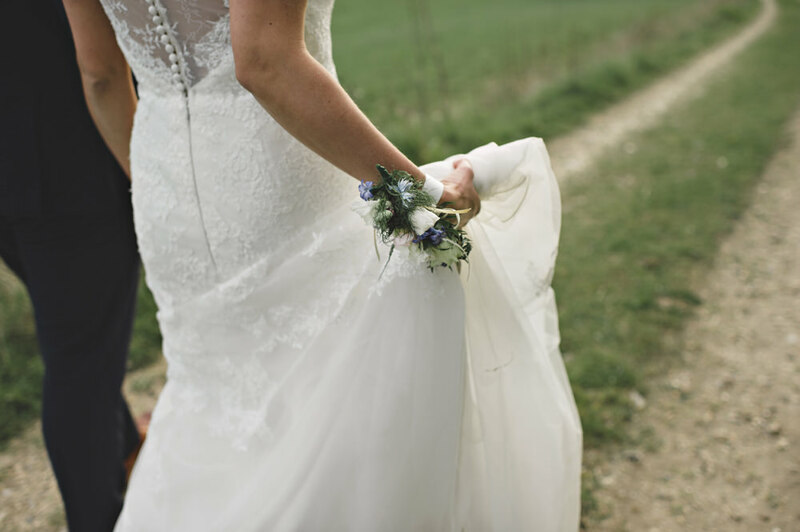 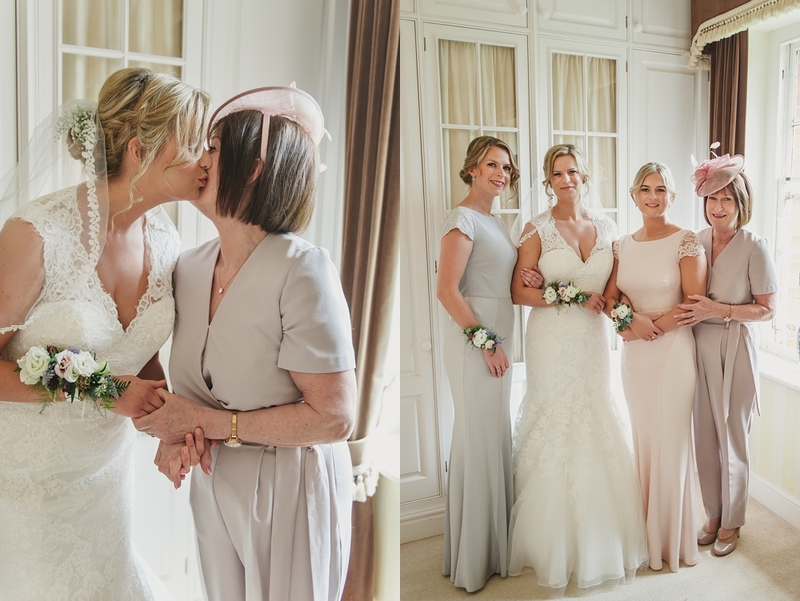 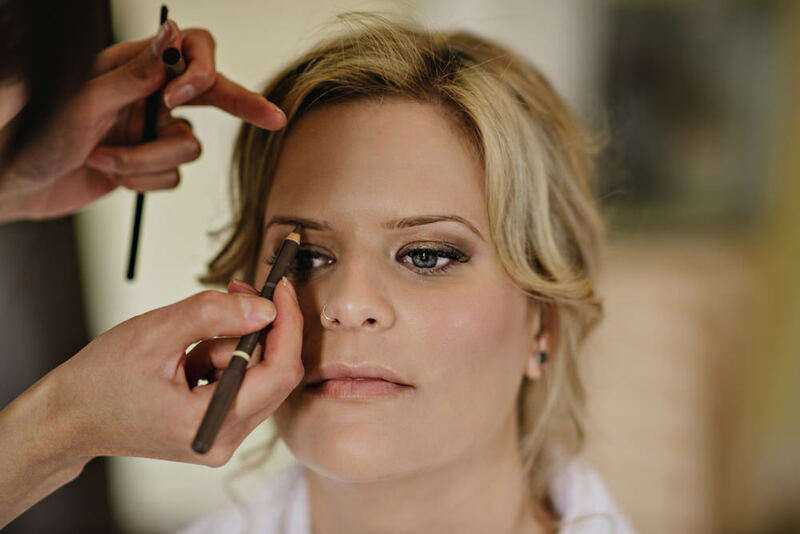 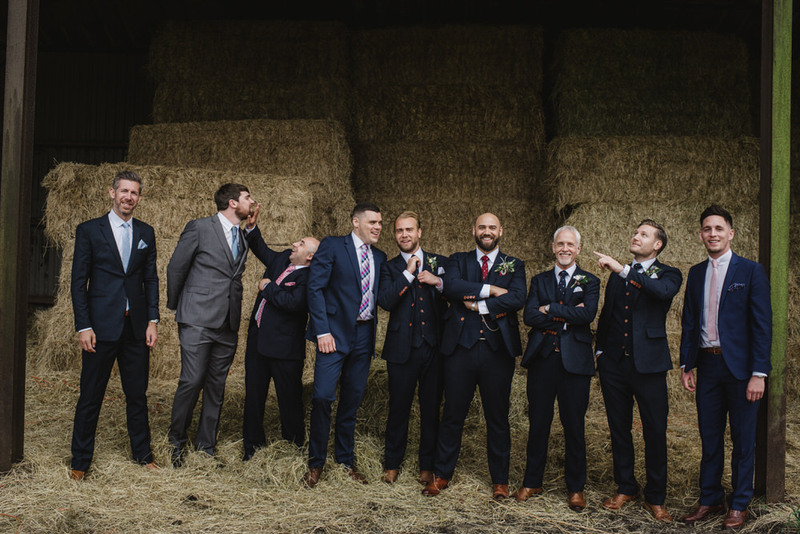 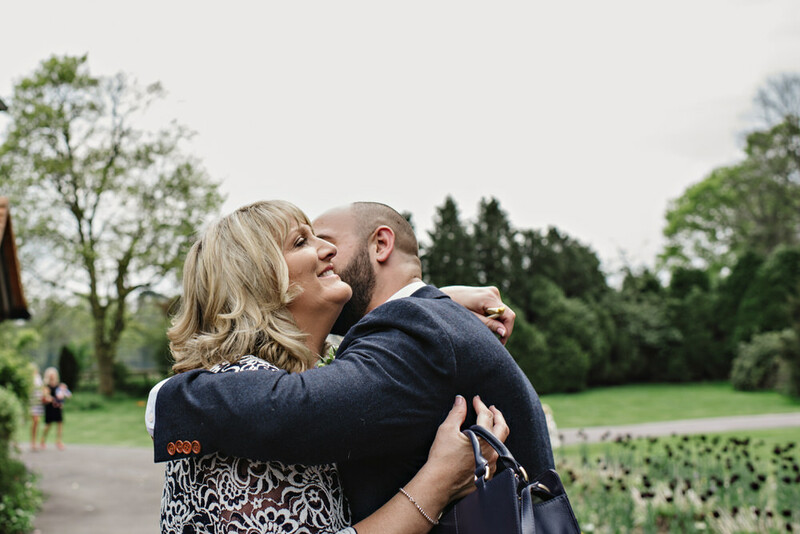 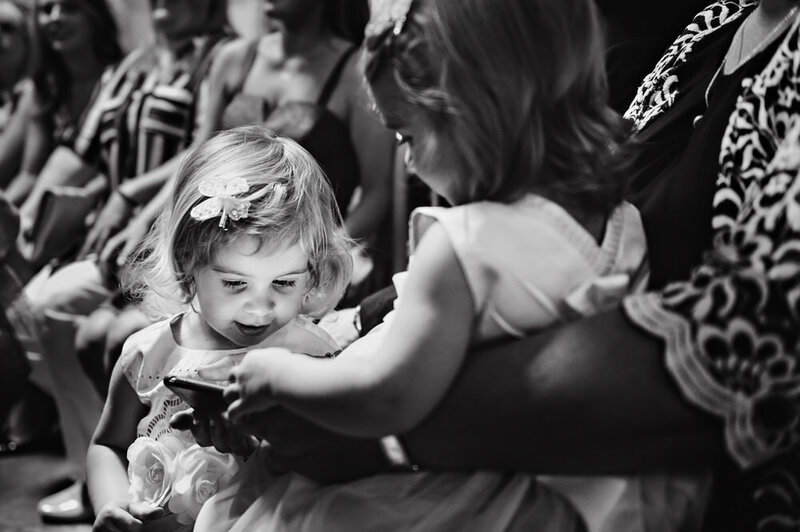 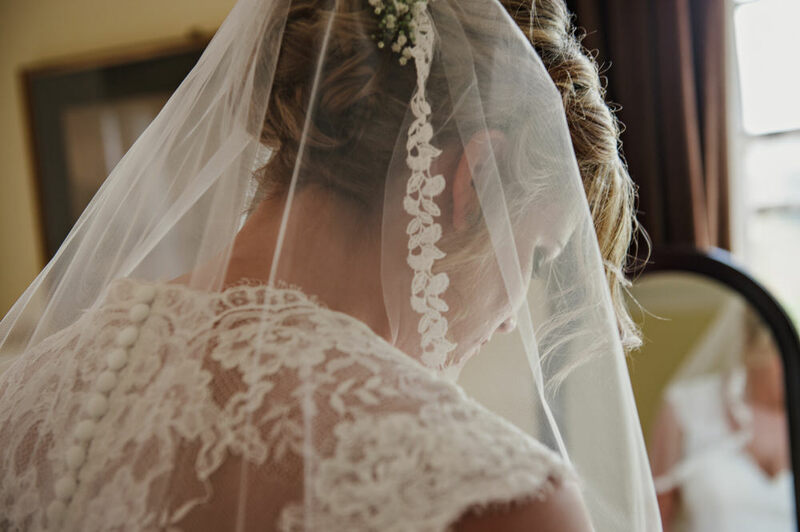 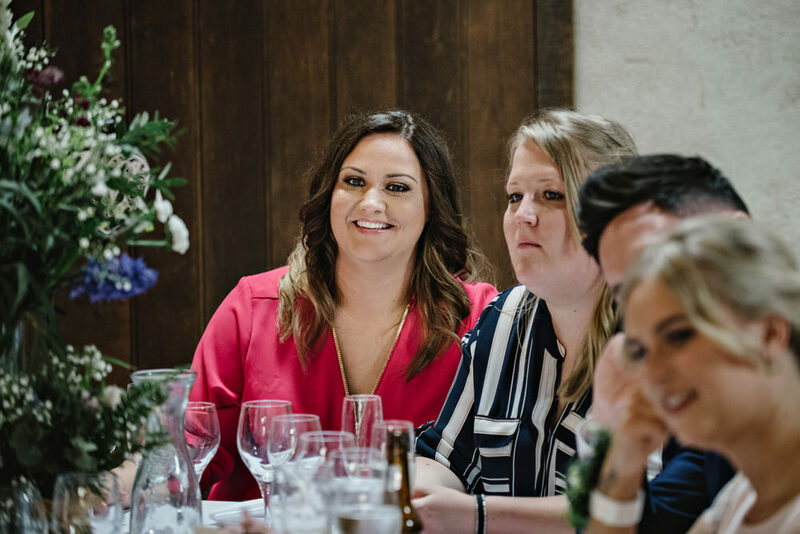 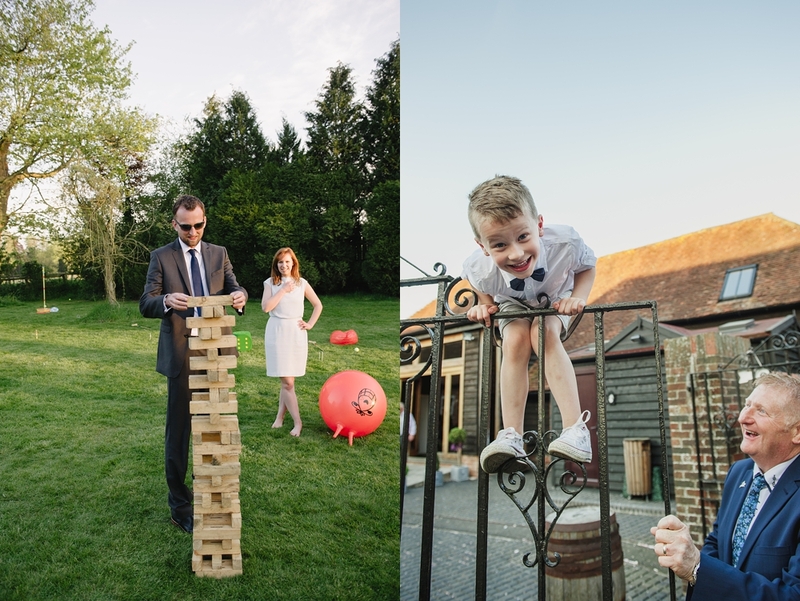 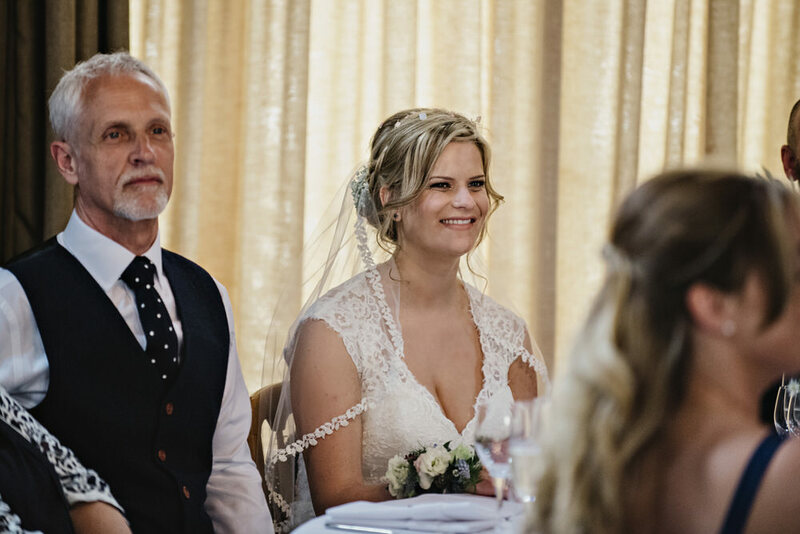 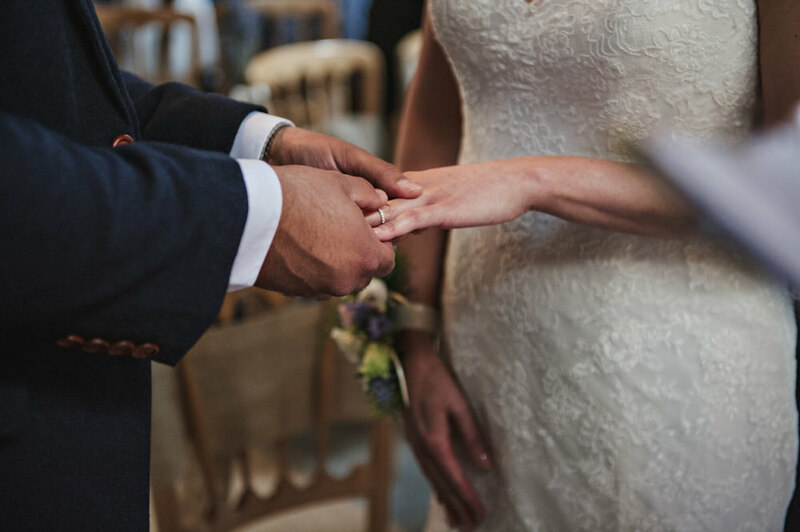 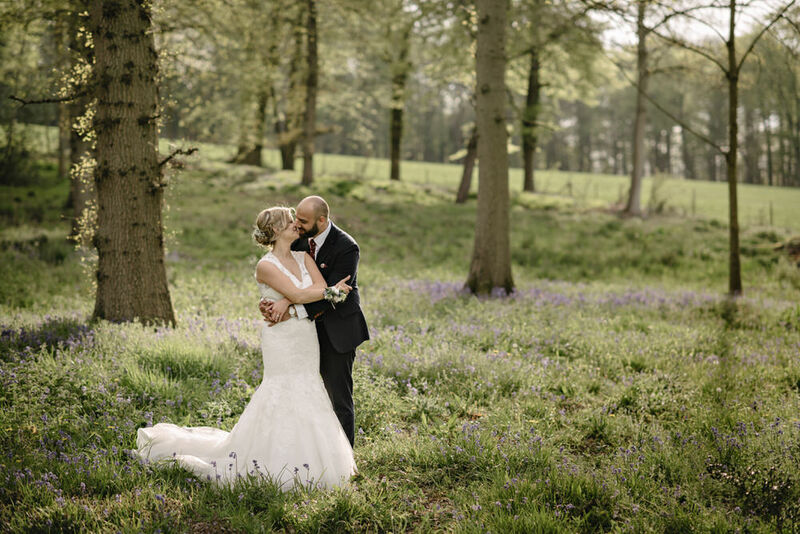 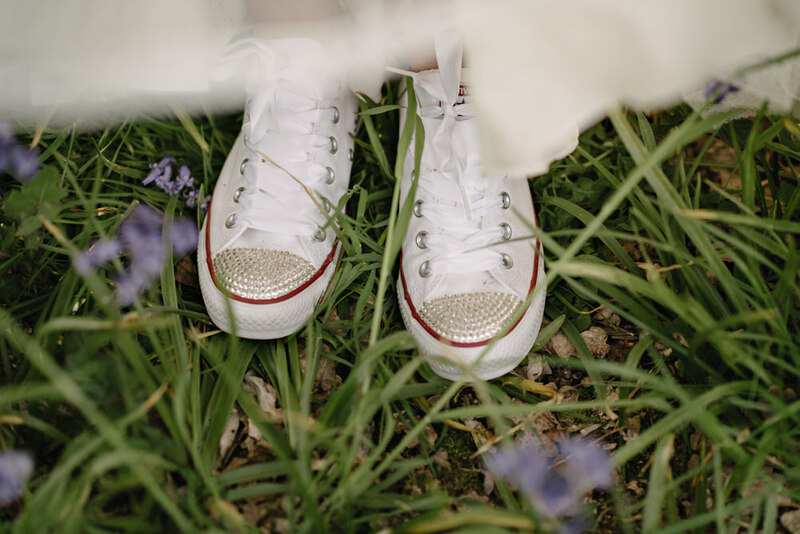 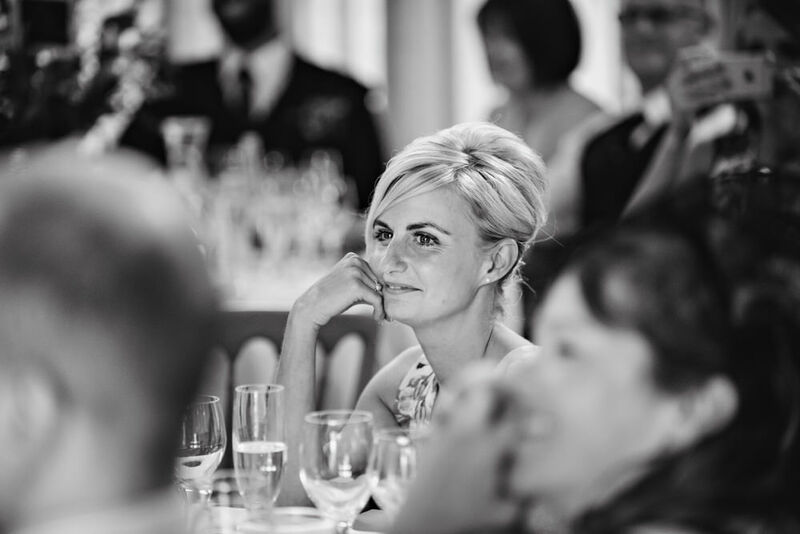 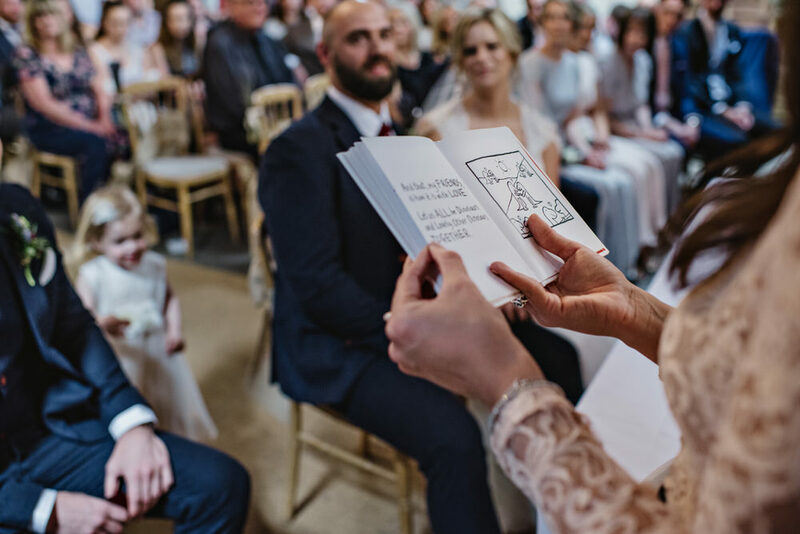 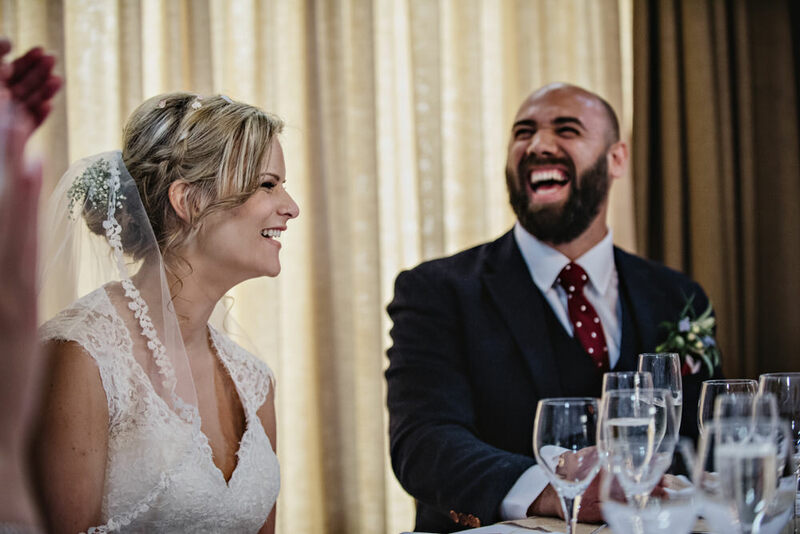 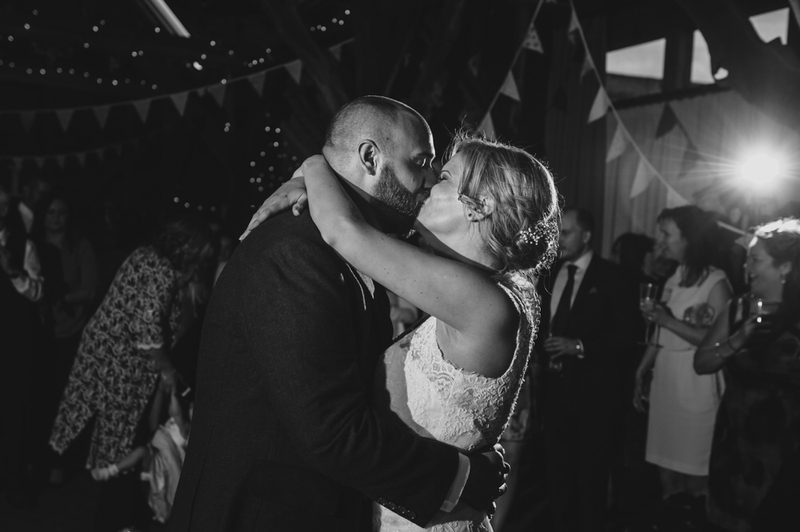 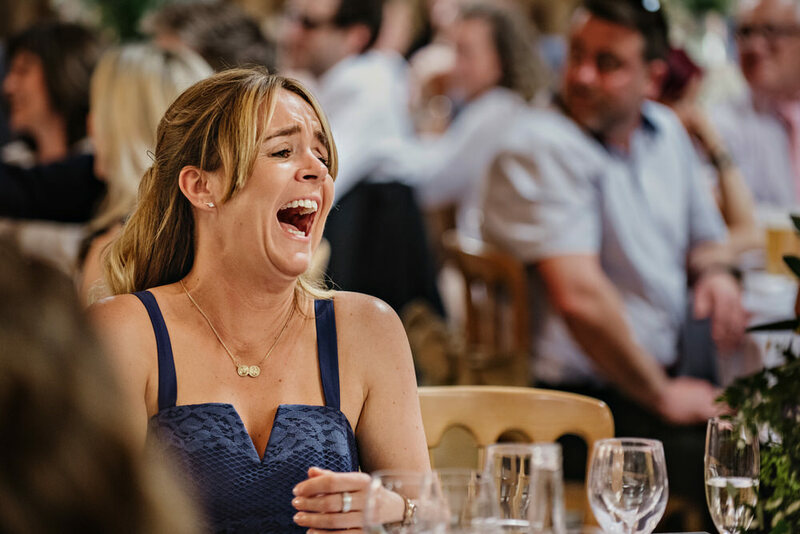 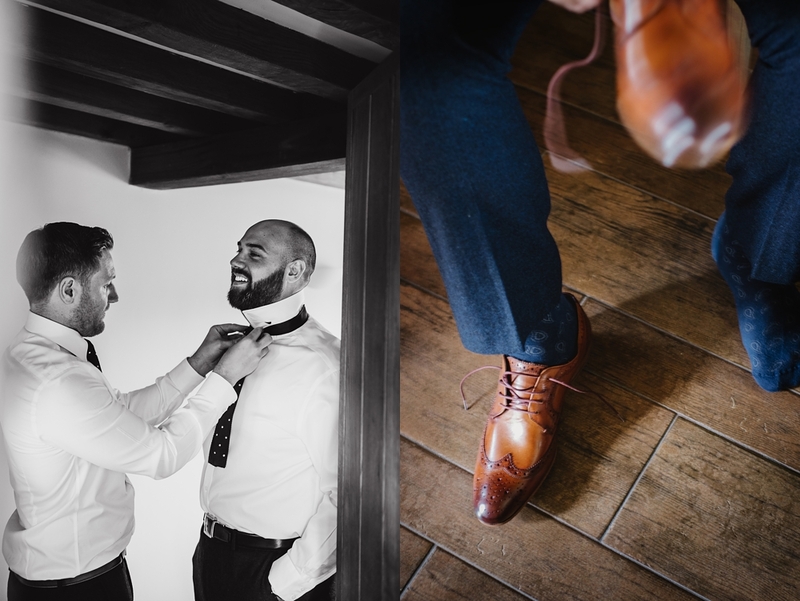 When I arrived in the bridal room, there was lots of excitement with Lisa, her sisters and the two little flower girls getting ready, whilst the guys were over in the cottages with their family and friends. 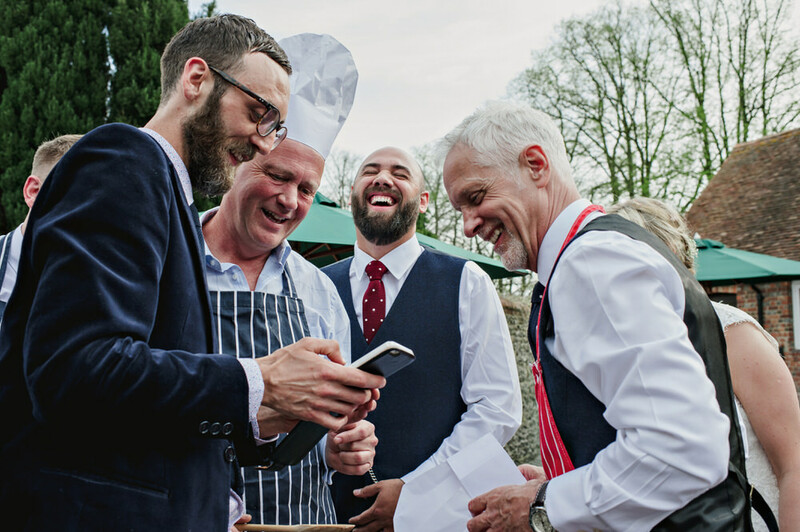 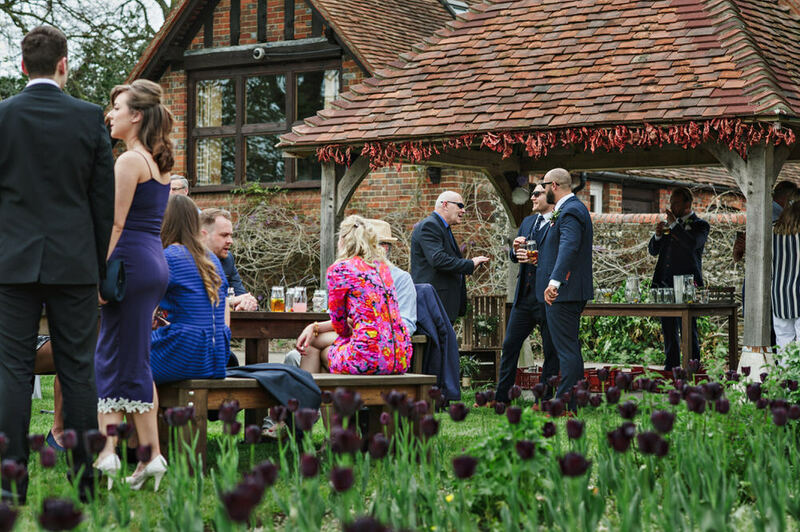 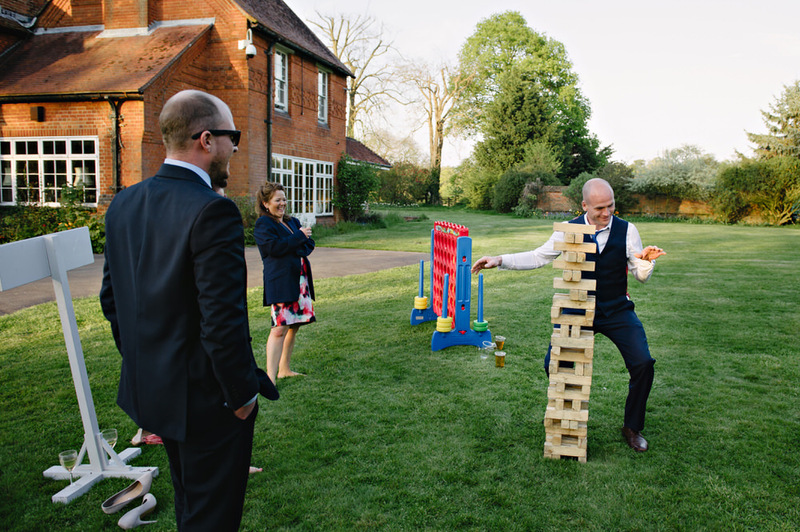 After the ceremony, and a reading of Edward Monkton’s A Lovely Love Story by Jordan’s sister, we were able to mill around the gardens sipping Pimms and playing lawn games. 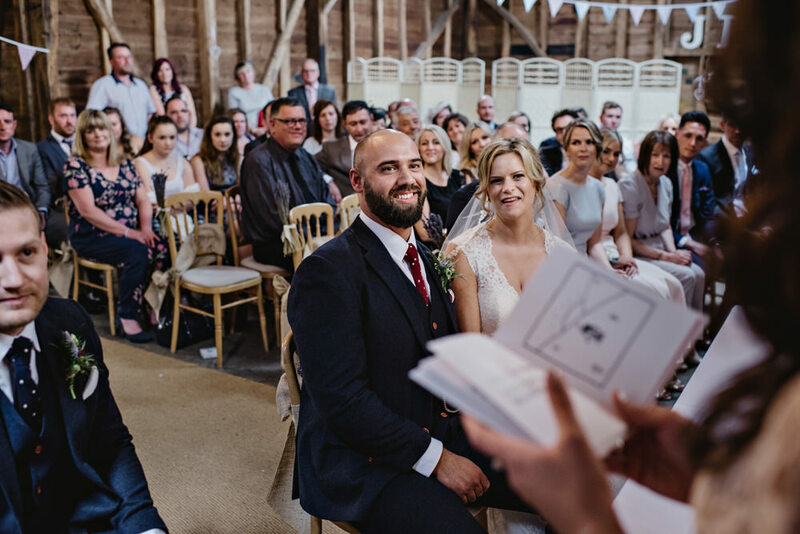 The speeches followed and there were many moments when everyone roared with laughter at the stories that were shared, me included. 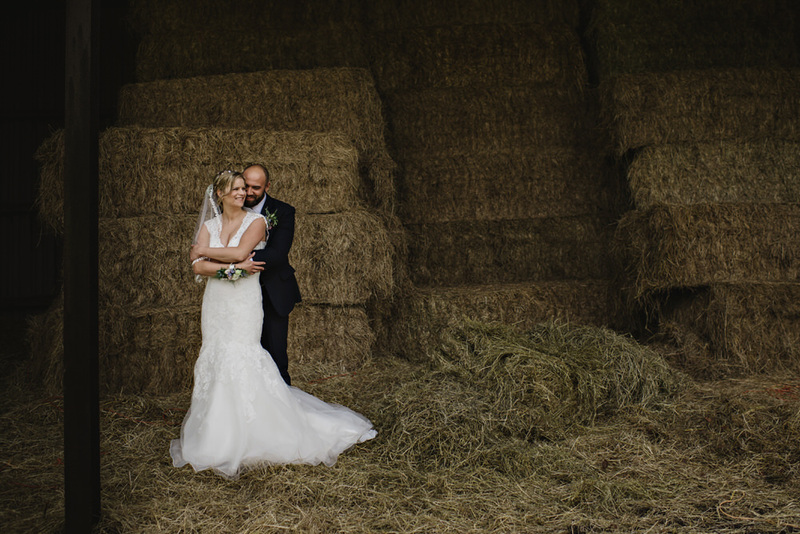 at Heron’s farm we can go down into the valley on the farm buggy which gets us to the perfect spot for some late afternoon light and couples photos. 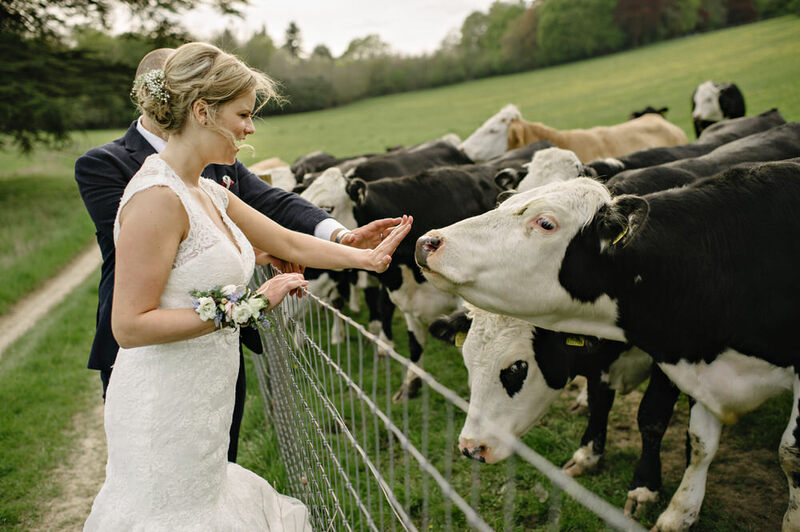 We had an unexpected surprise when we were walking down the lane – the cows in the field saw us and decided to say hello in a very enthusiastic way when they literally ran to greet us. 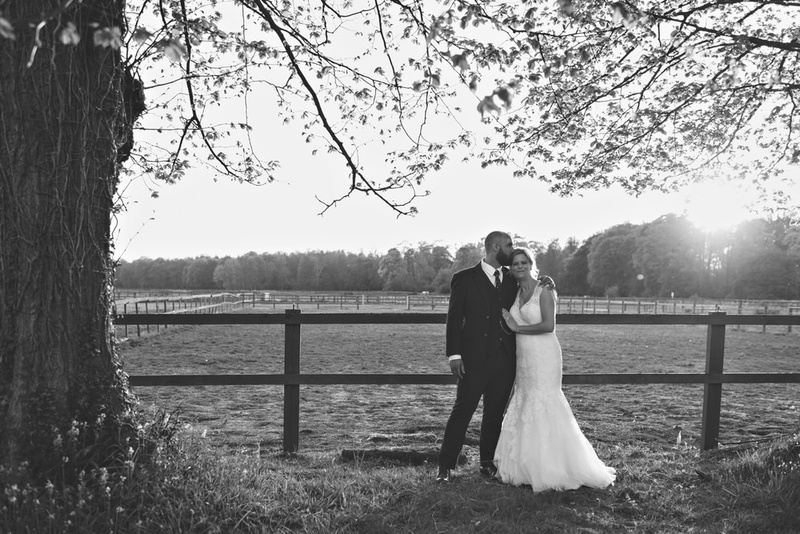 Soon after it was back to the barn for the first dance and party. 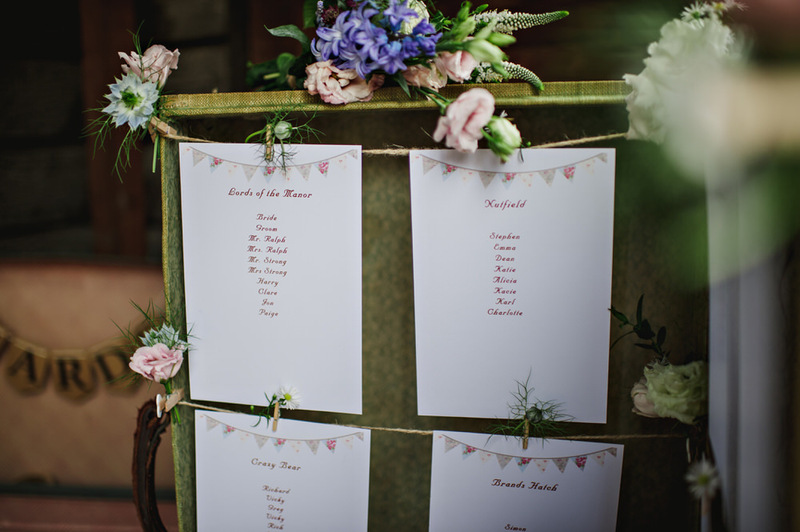 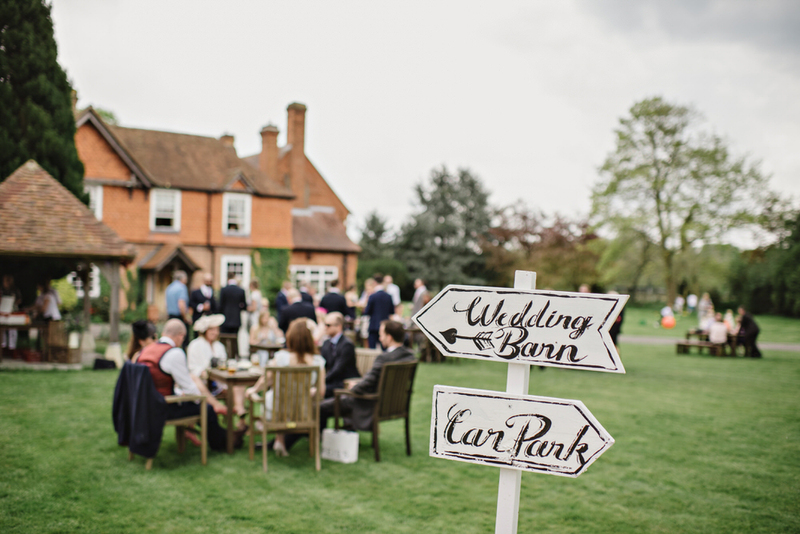 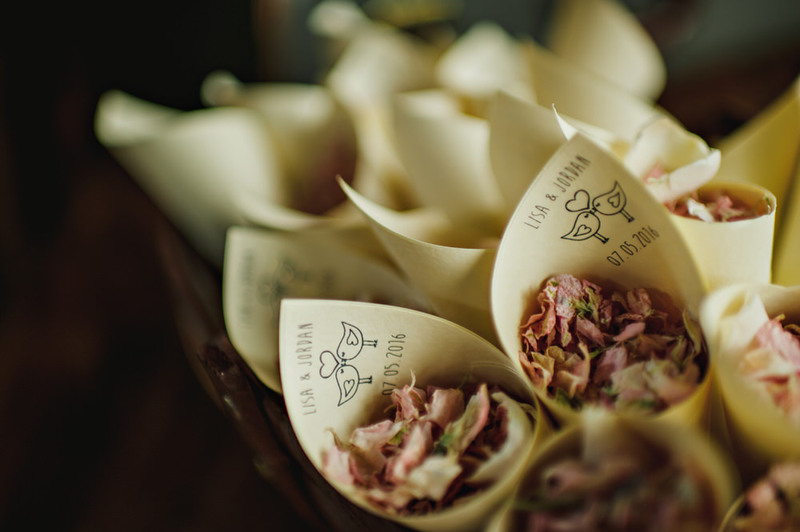 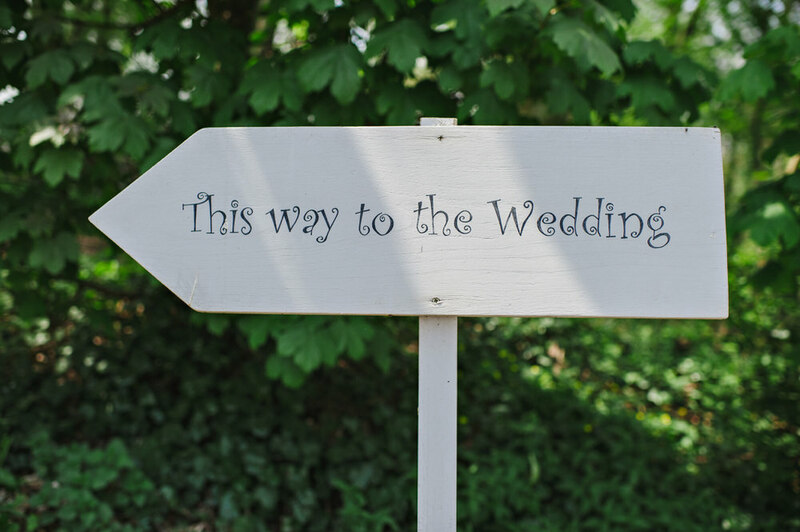 Also remember to check out these lovely wedding suppliers.